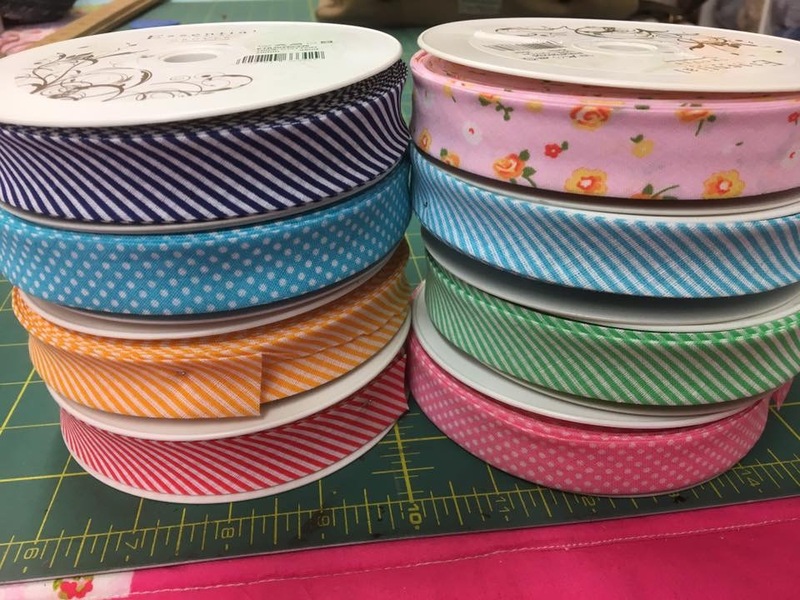 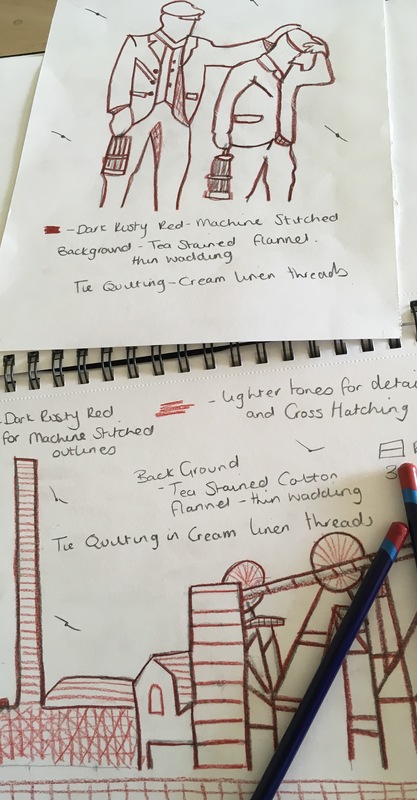 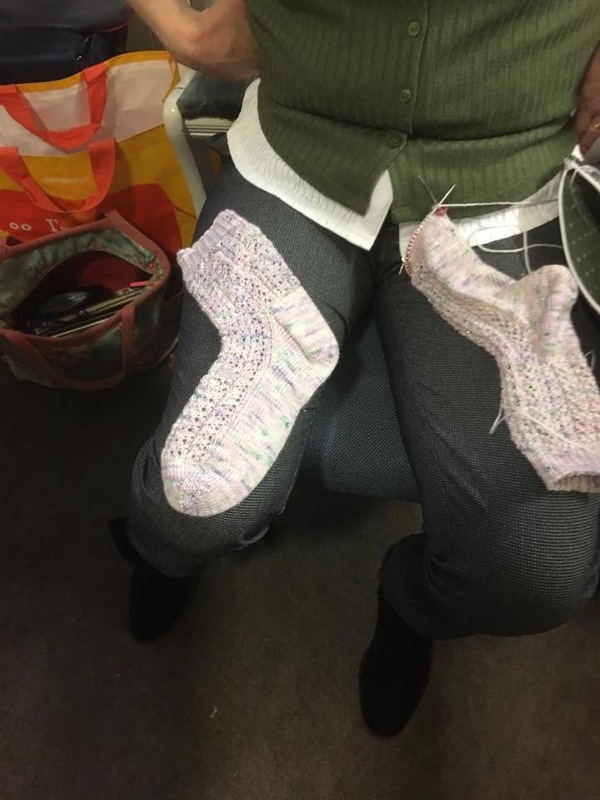 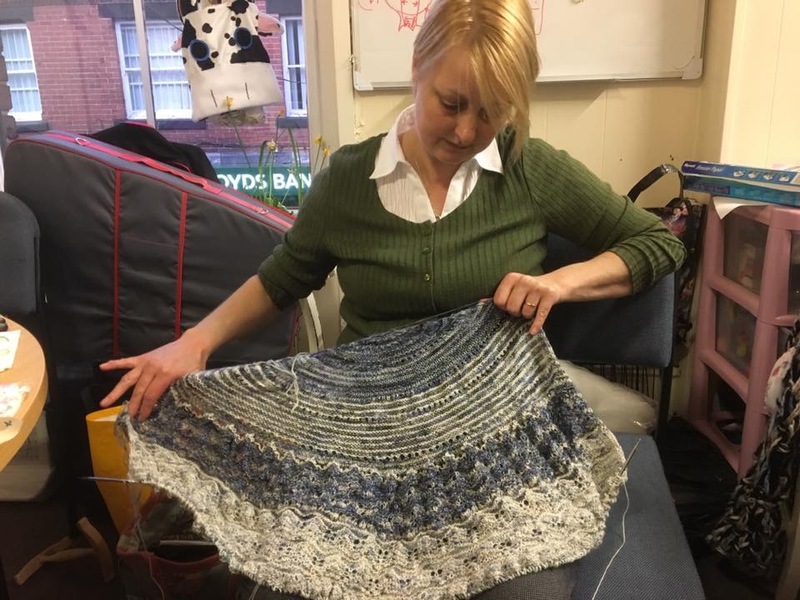 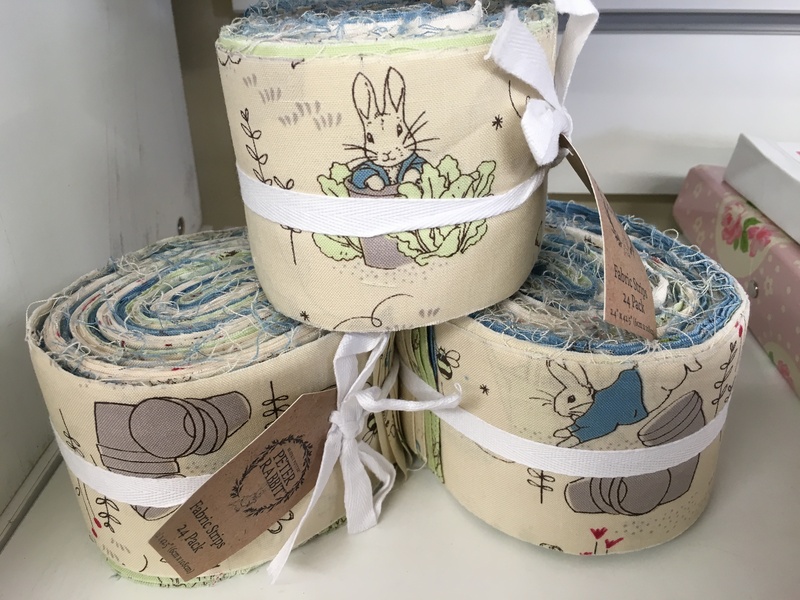 April 2017 – The haberdashery Blog. 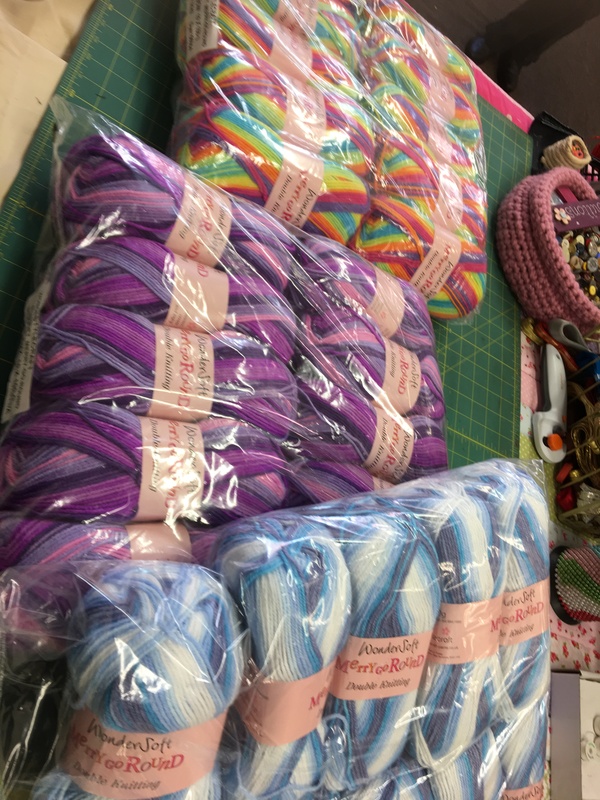 It’s An Amazing Time ! 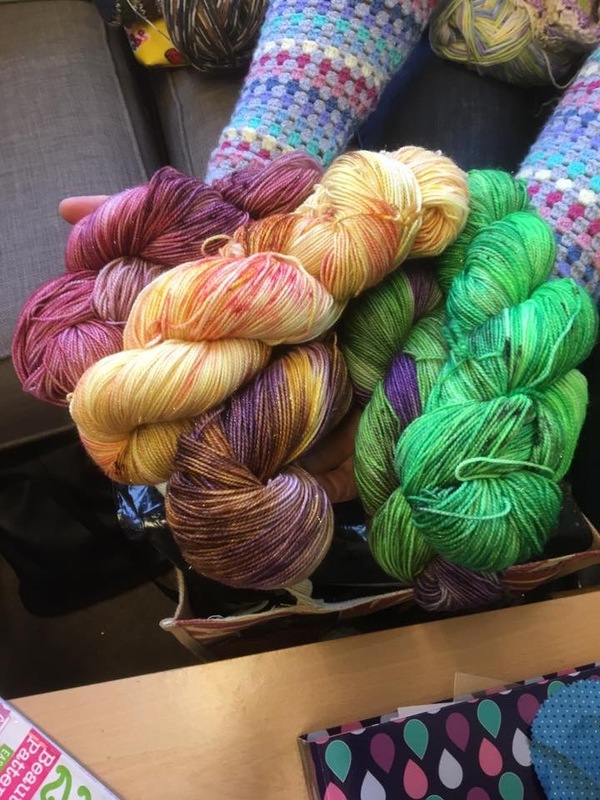 Its been an amazing time for us here and even more exciting things ahead. 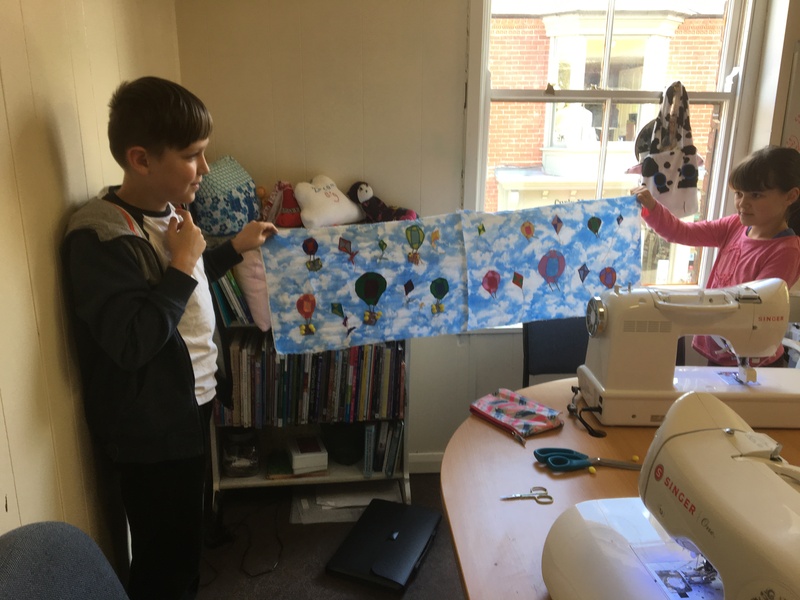 So it’s been half term and my little man has had to put up with all things Haberdashery related. 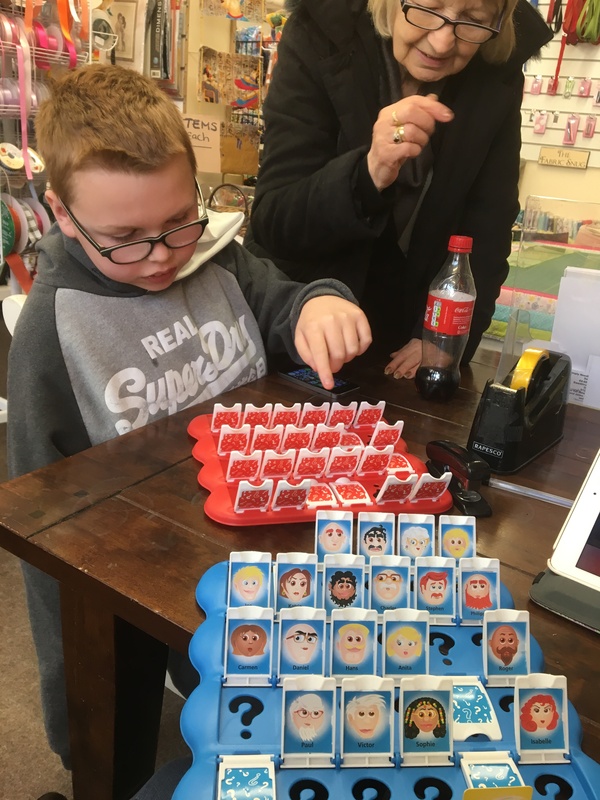 He’s been a lovely little helper and we’ve had board games to keep us entertained……I’m sure my mum was cheating though…. 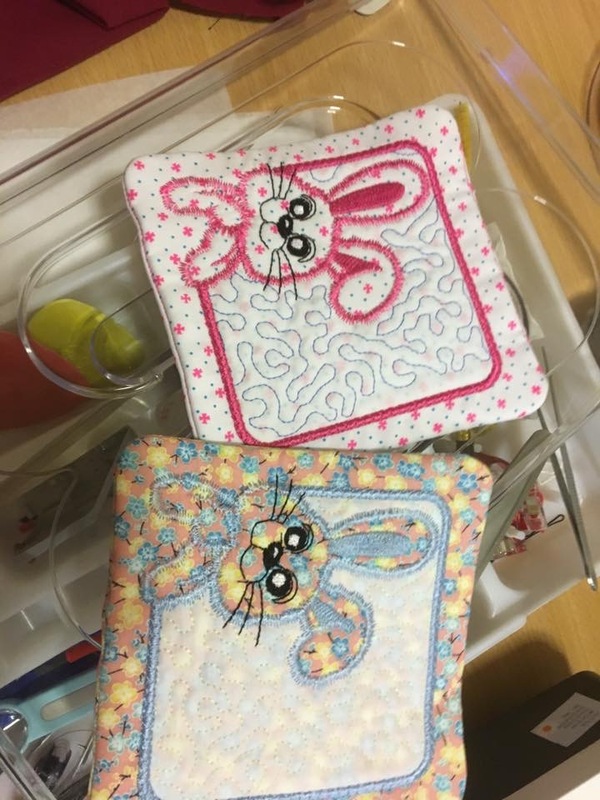 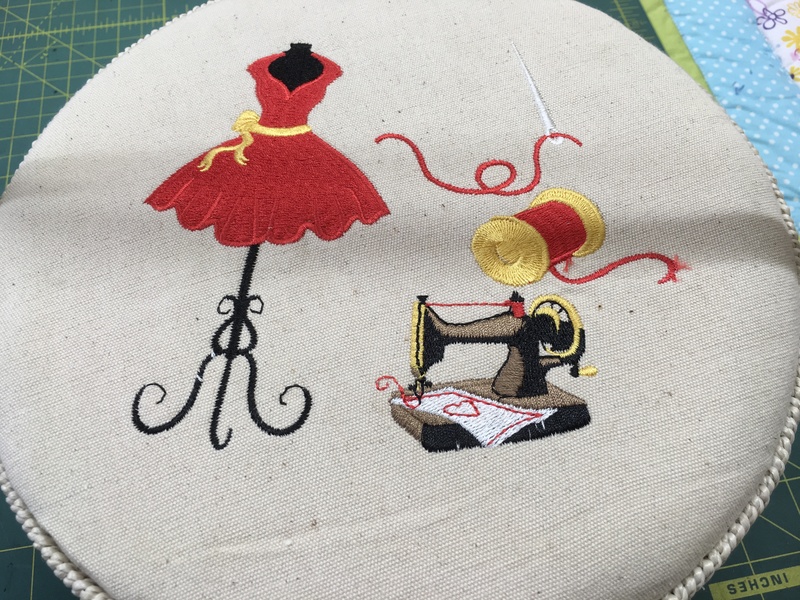 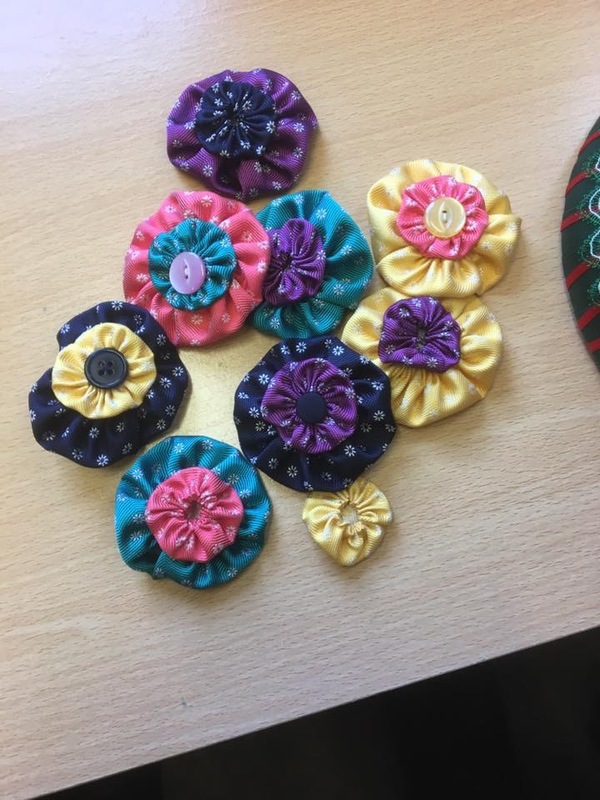 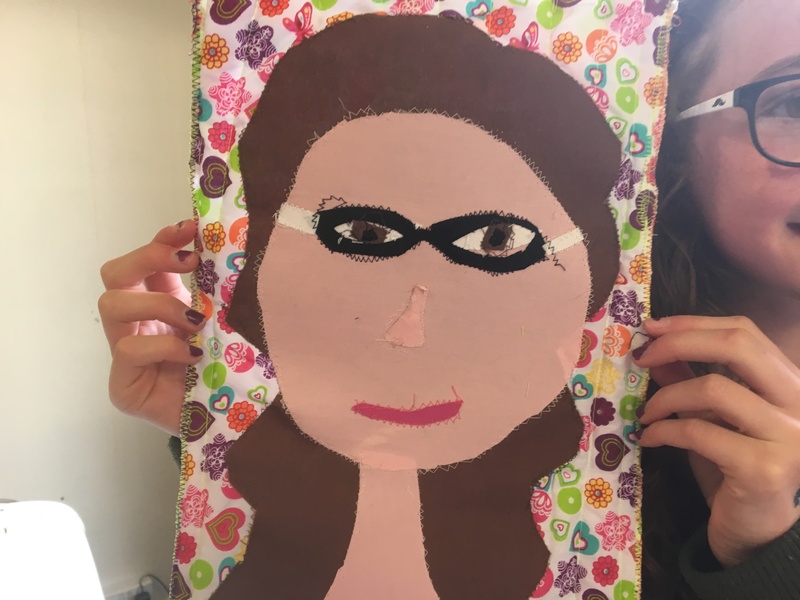 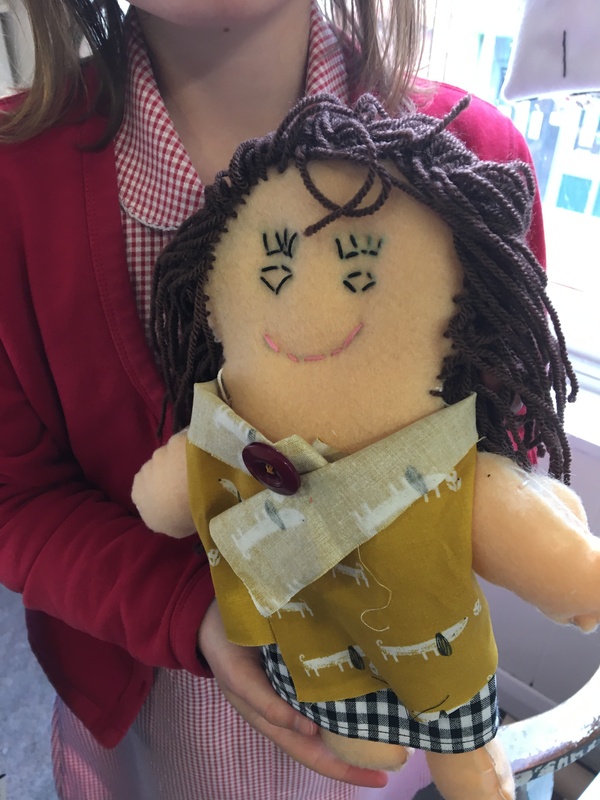 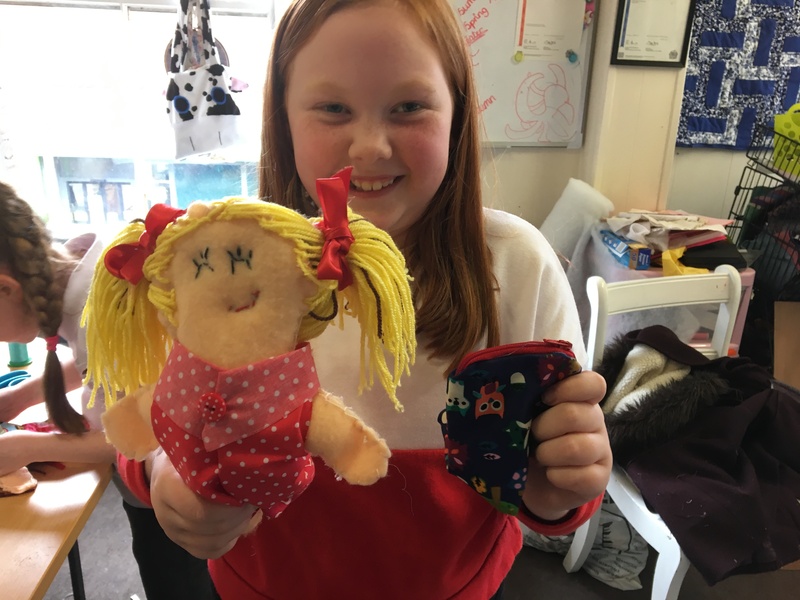 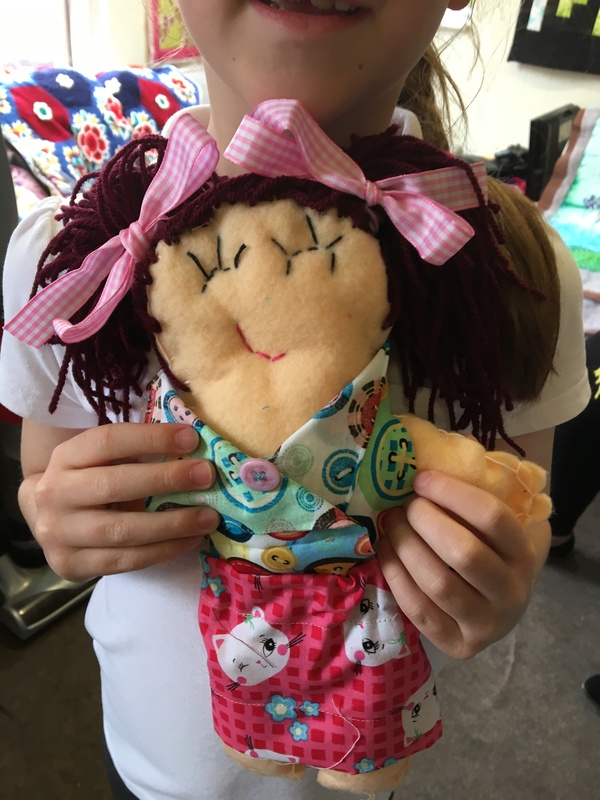 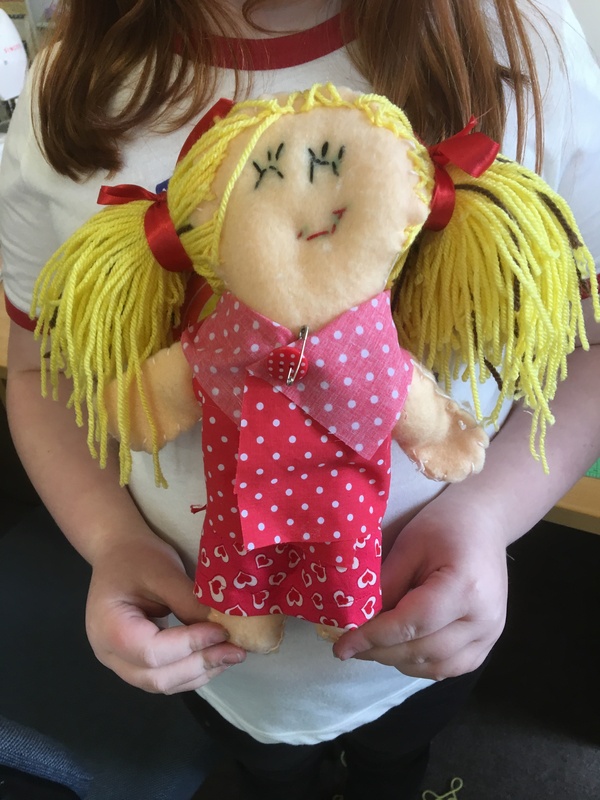 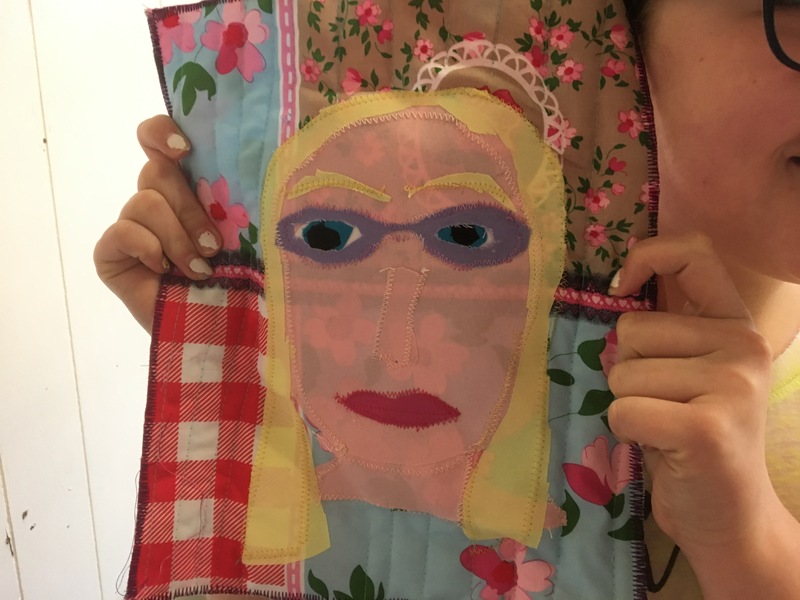 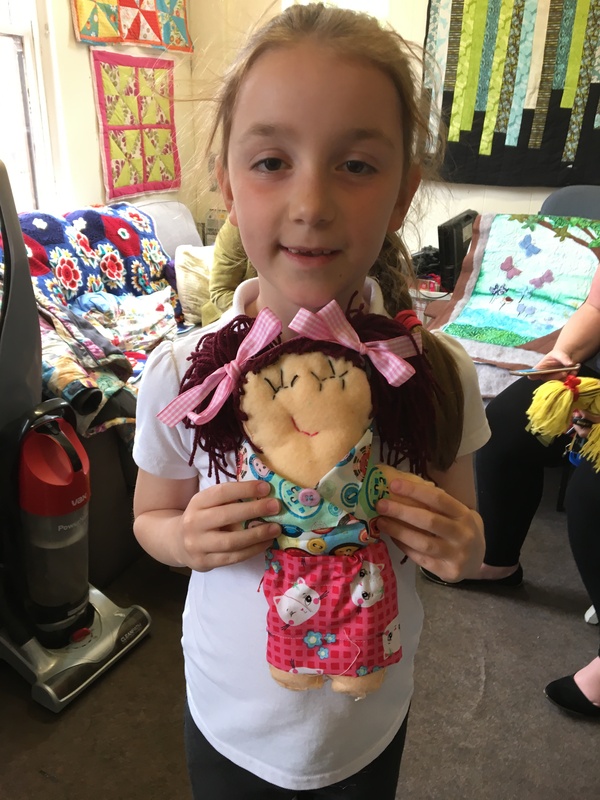 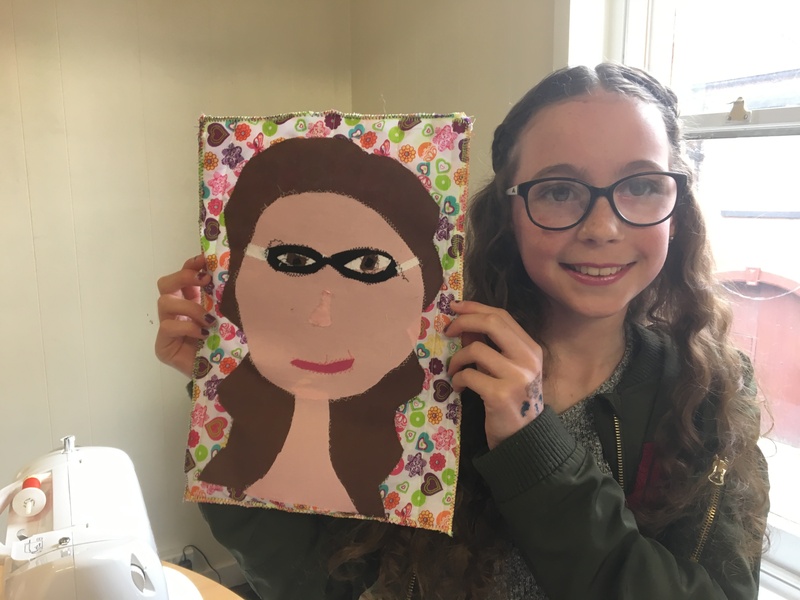 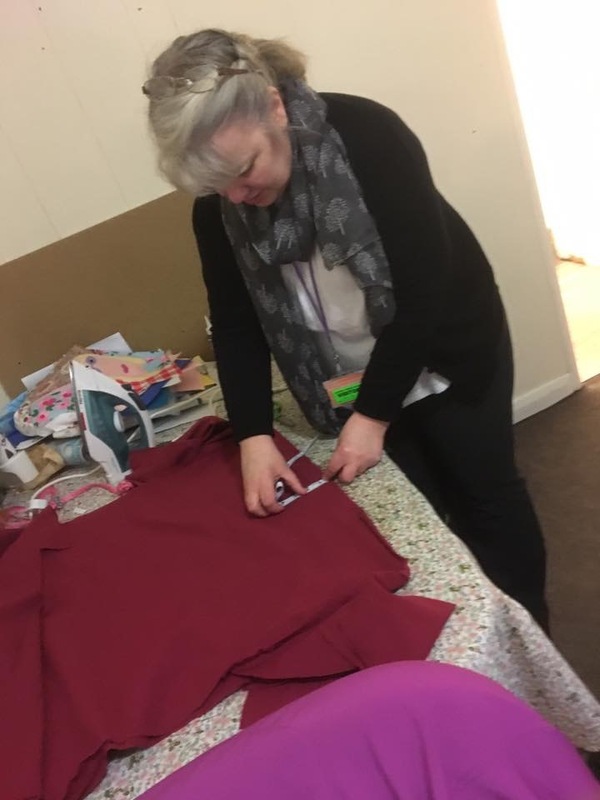 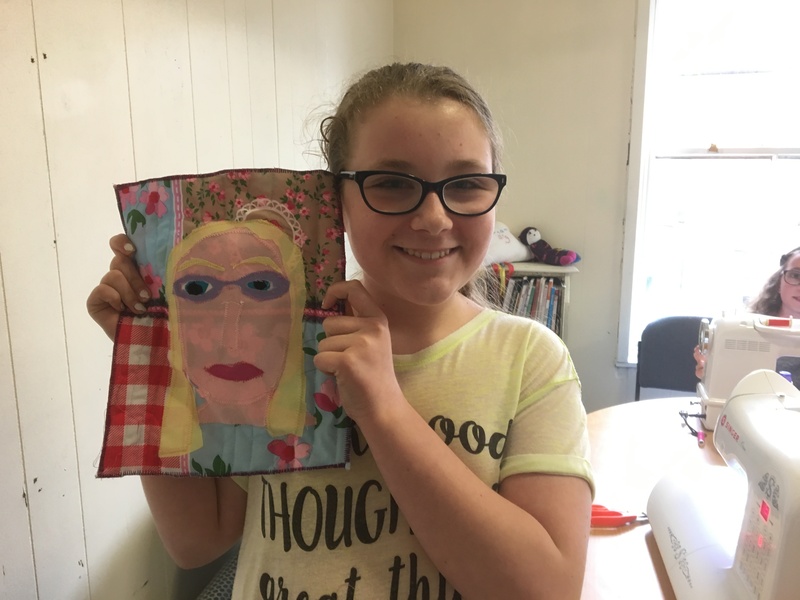 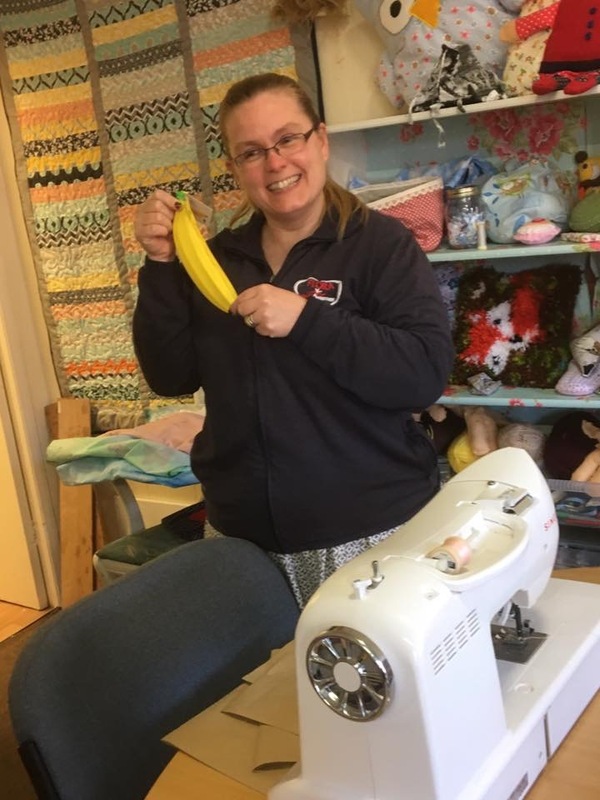 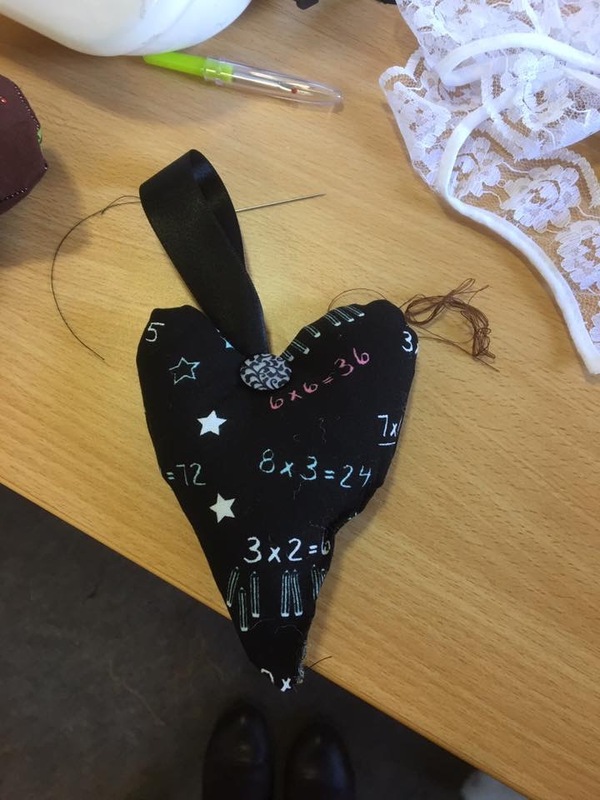 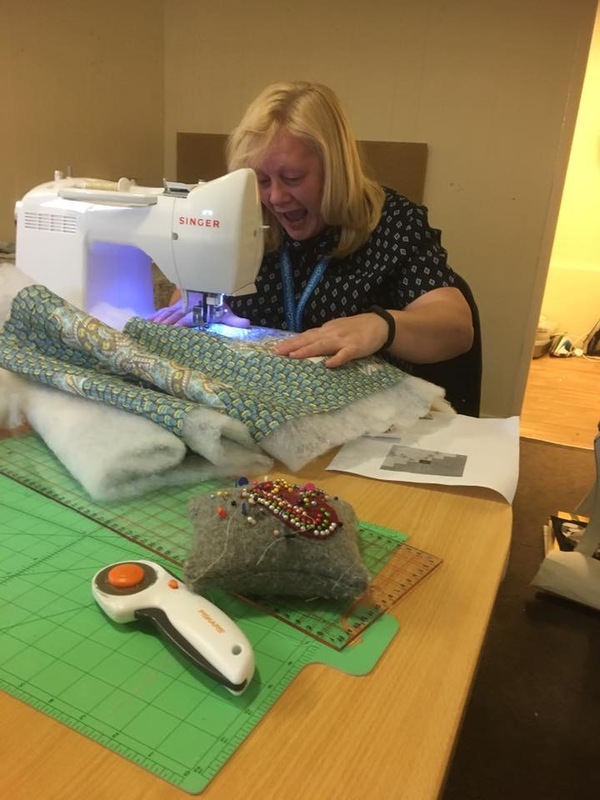 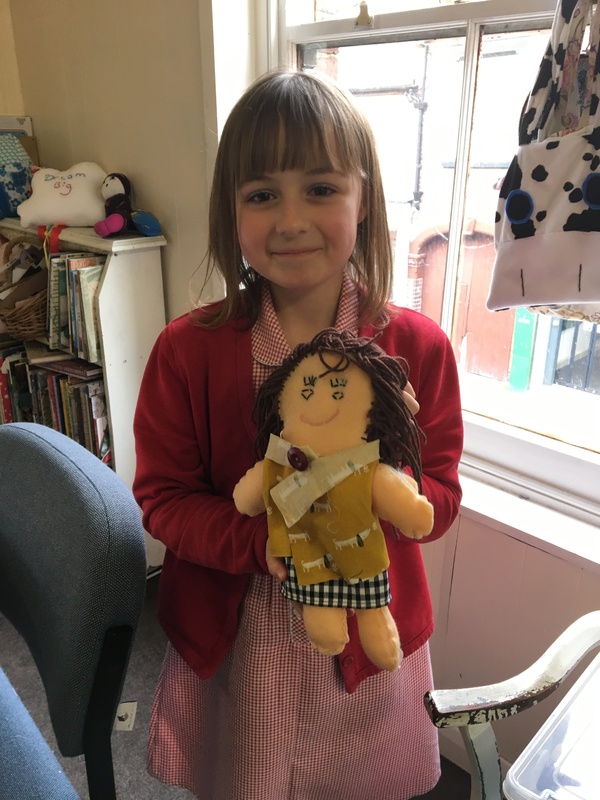 Half term in the sewing bee has consisted of appliqué and quilting on the selfies …..
Also further updates on the quilting entries…. 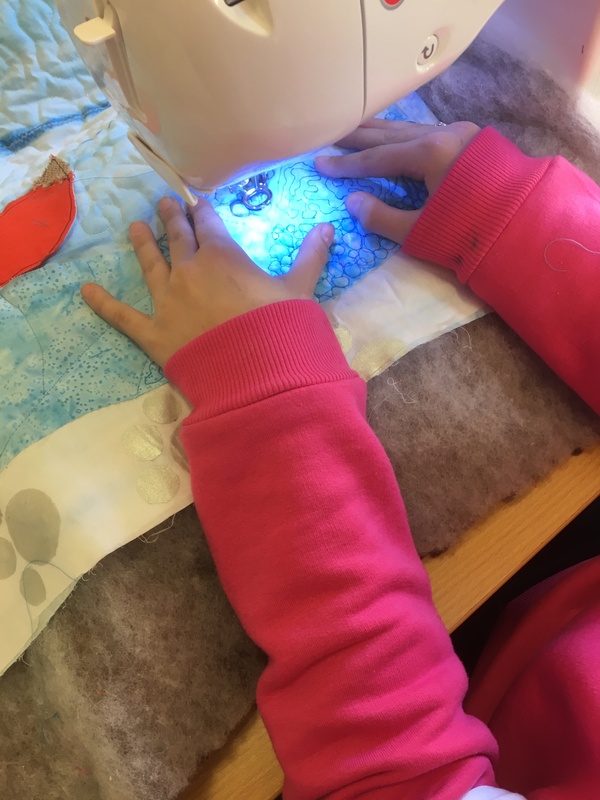 My younger group have started to piece together…. 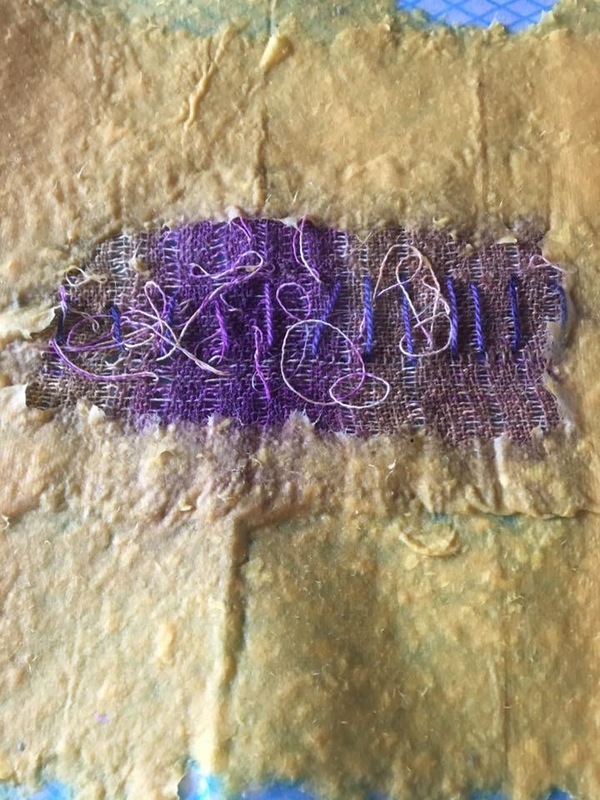 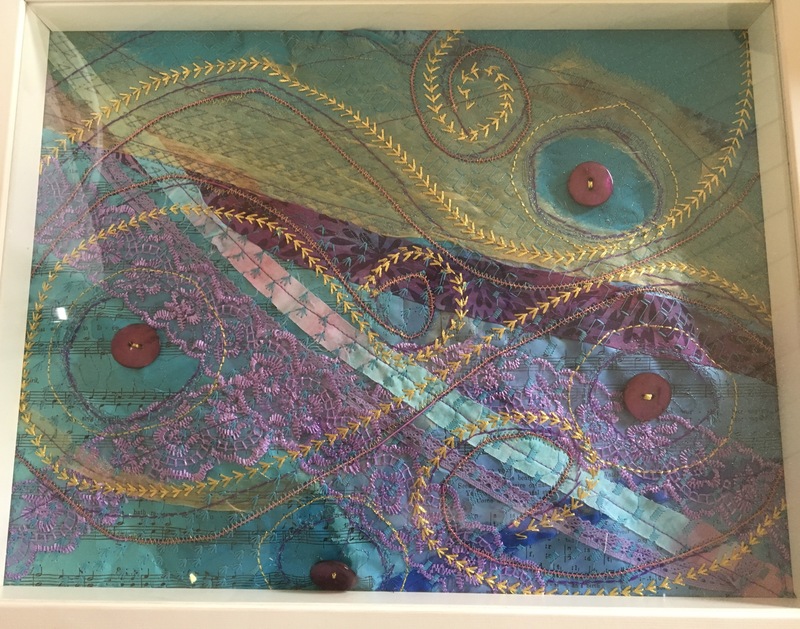 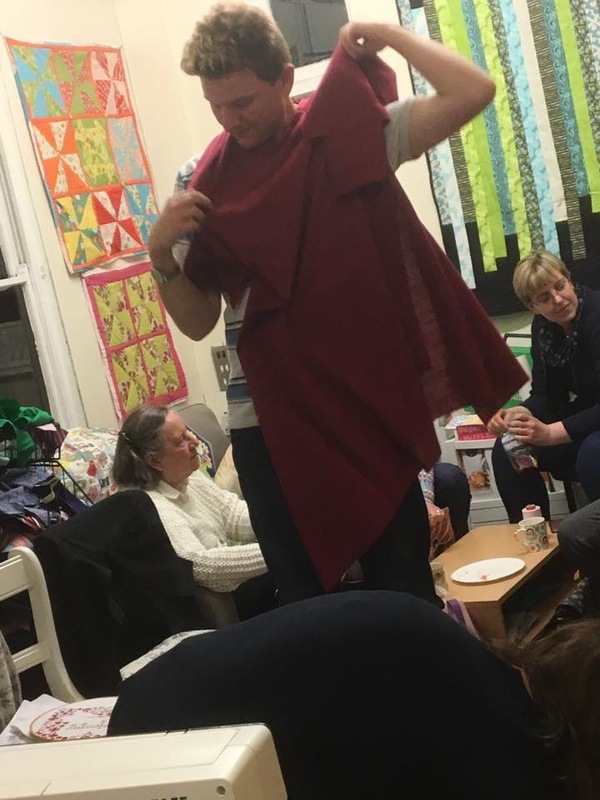 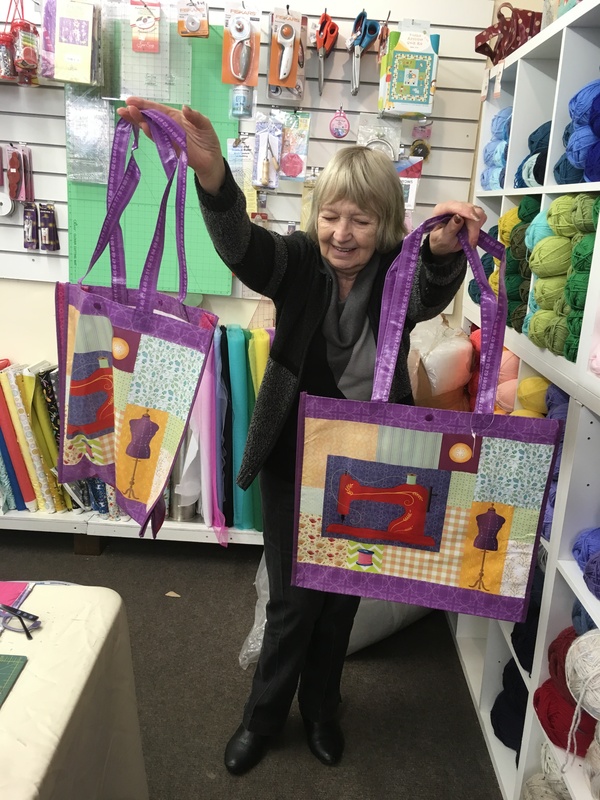 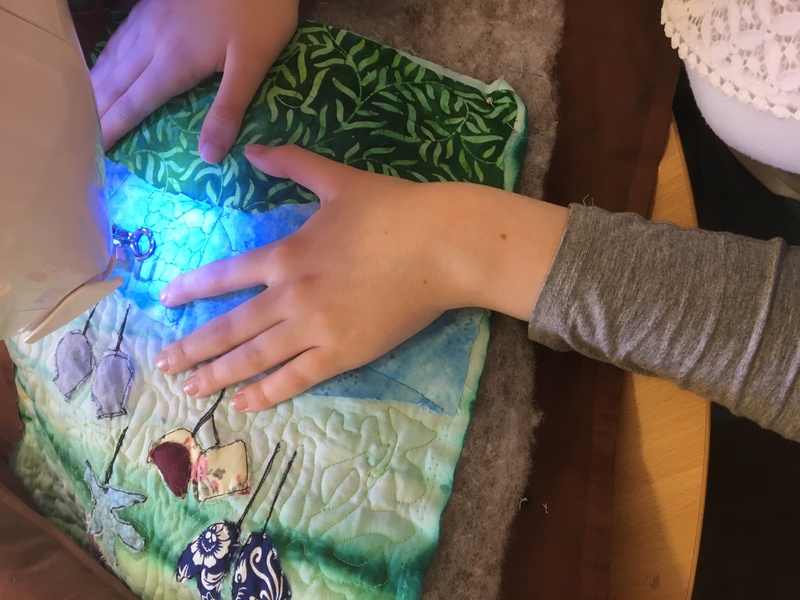 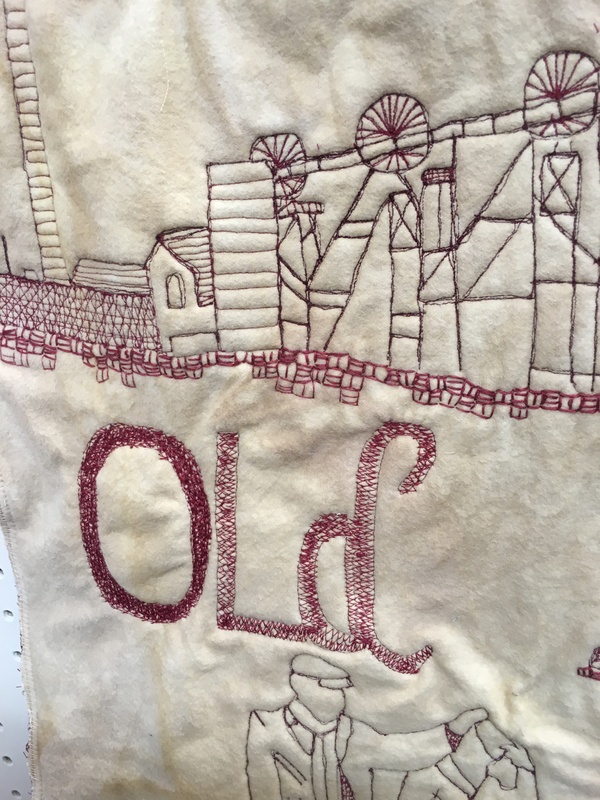 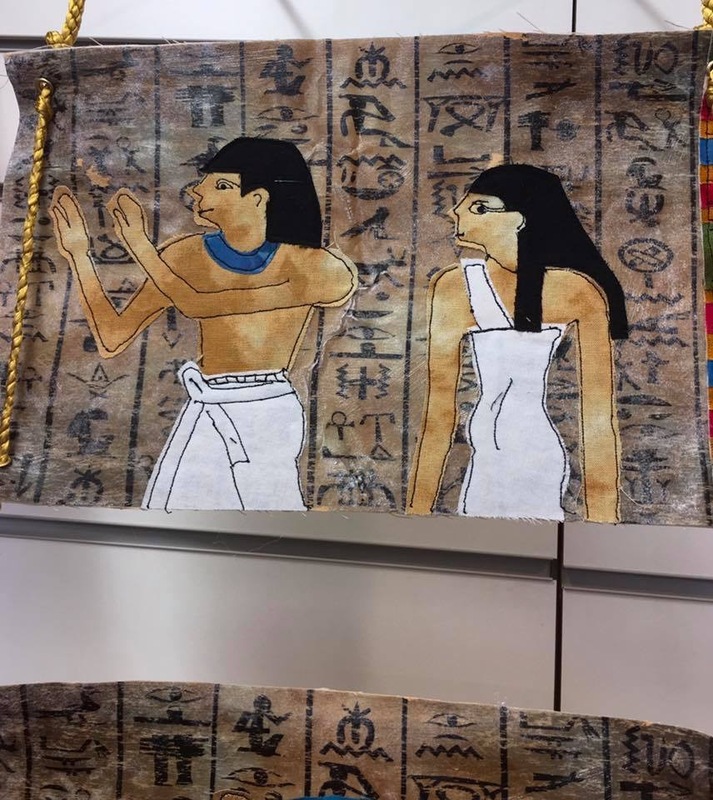 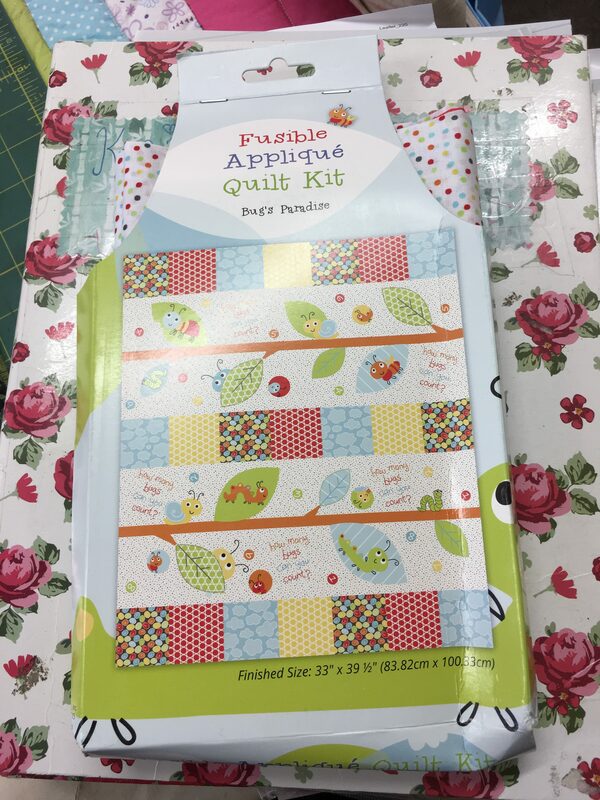 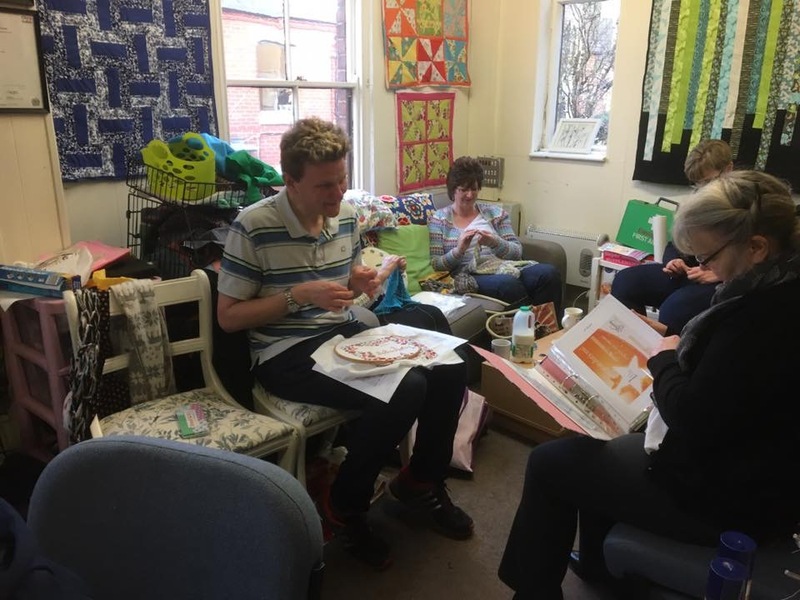 And my older group are free motion quilting…. 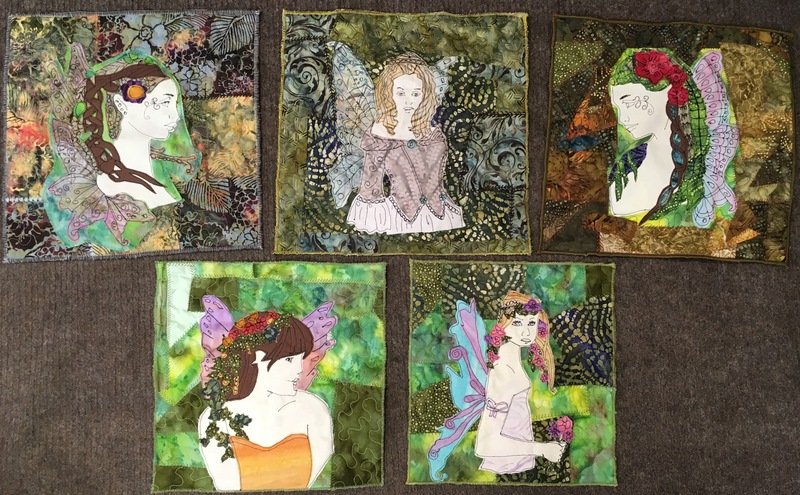 Now it’s time for the adults…..These ladies have been an absolute pleasure to work with. 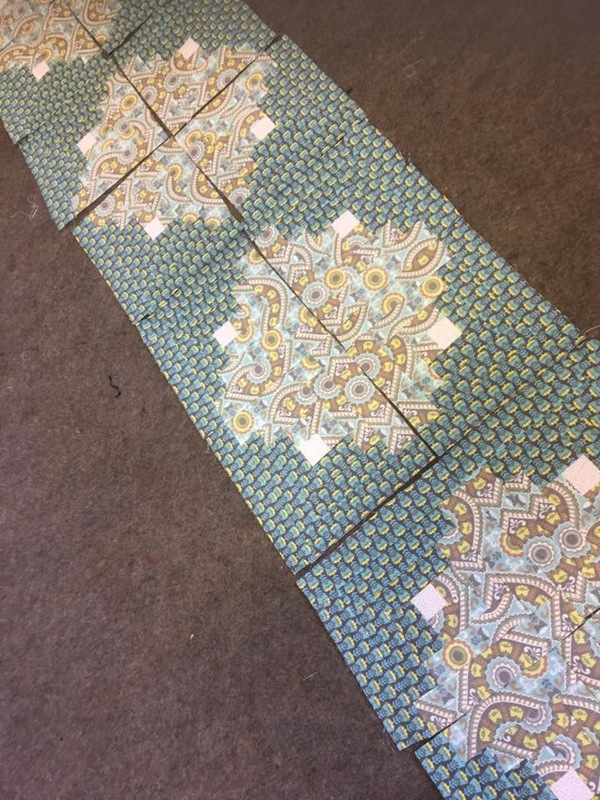 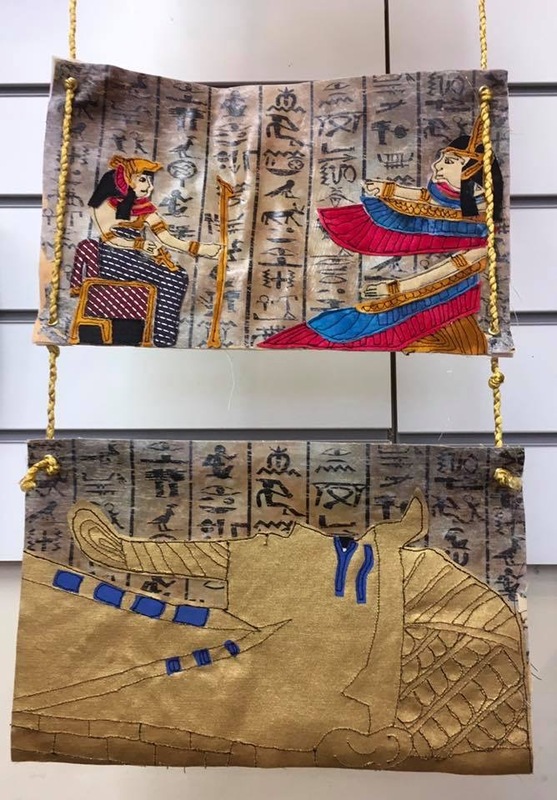 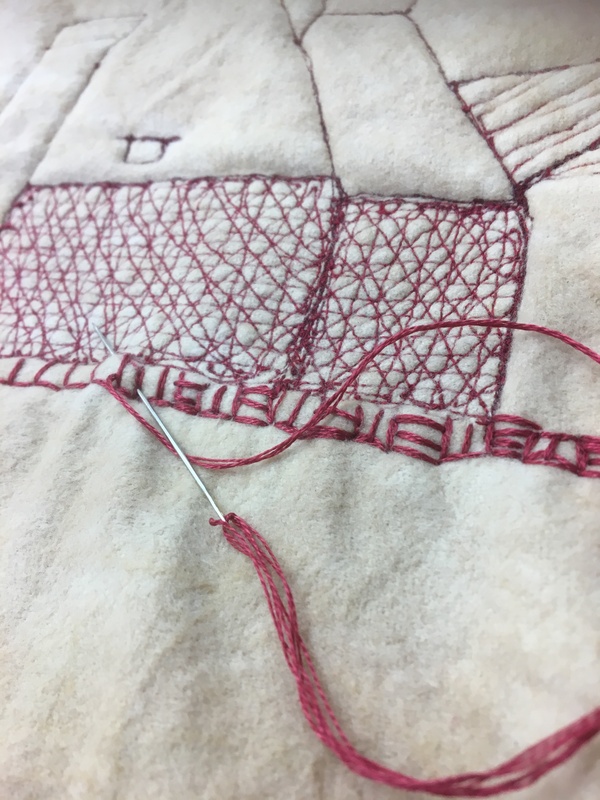 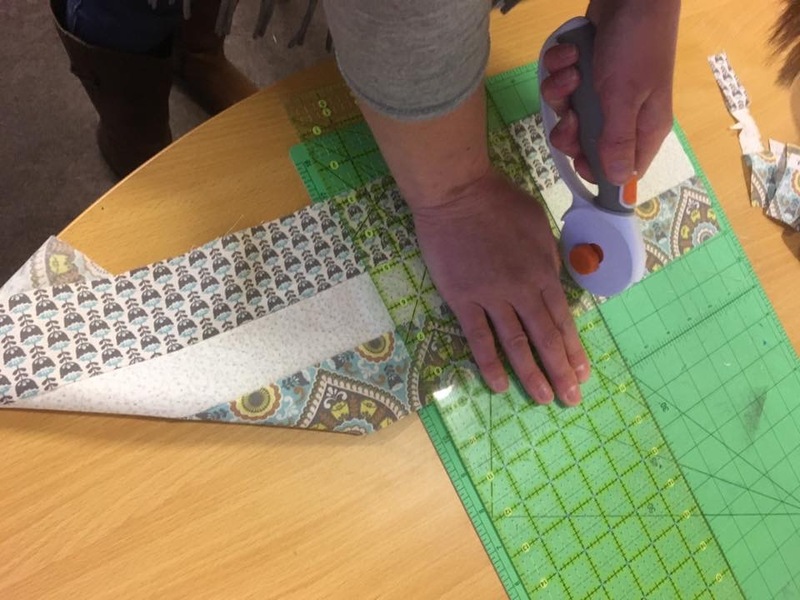 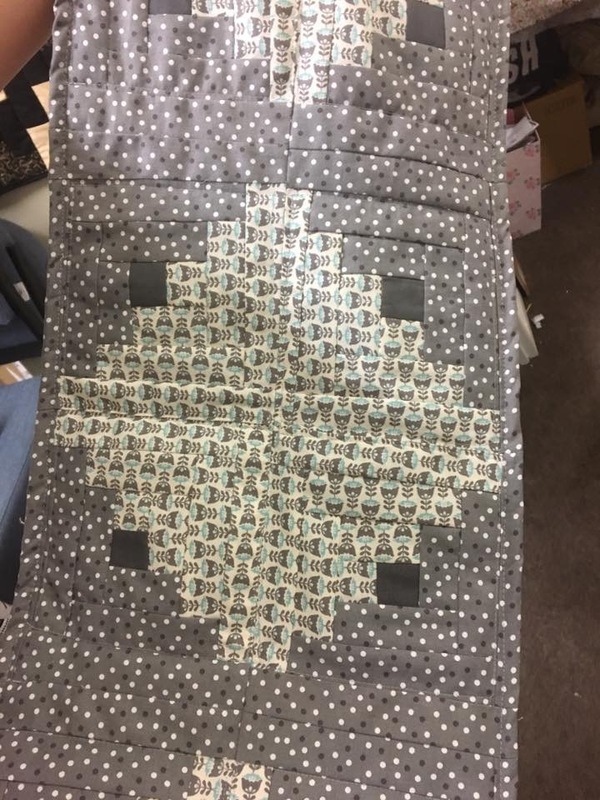 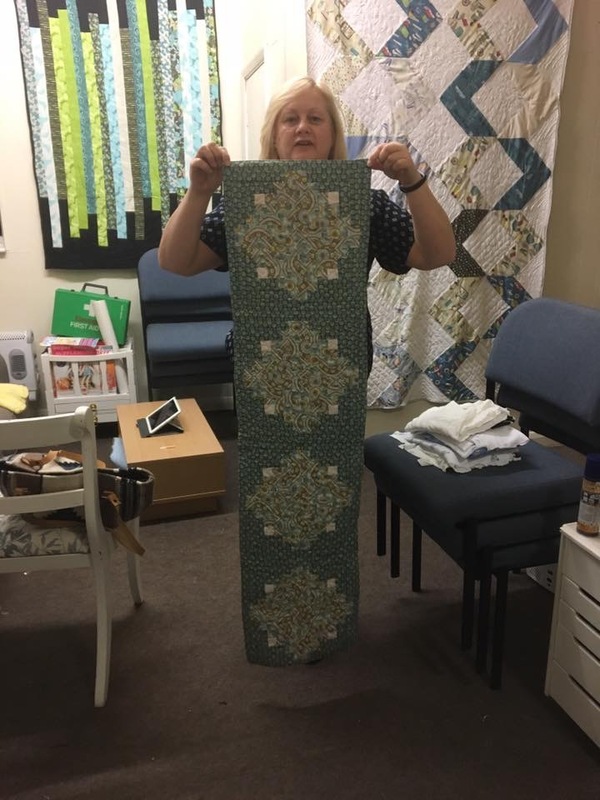 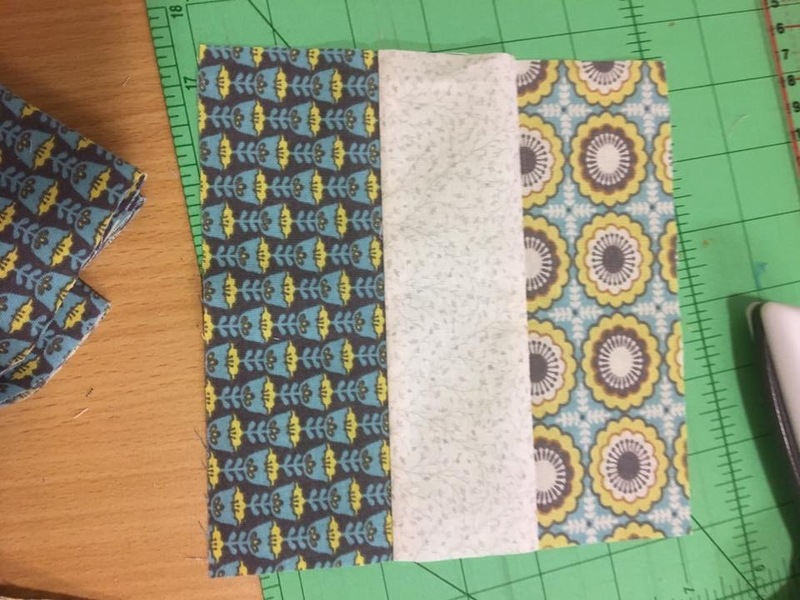 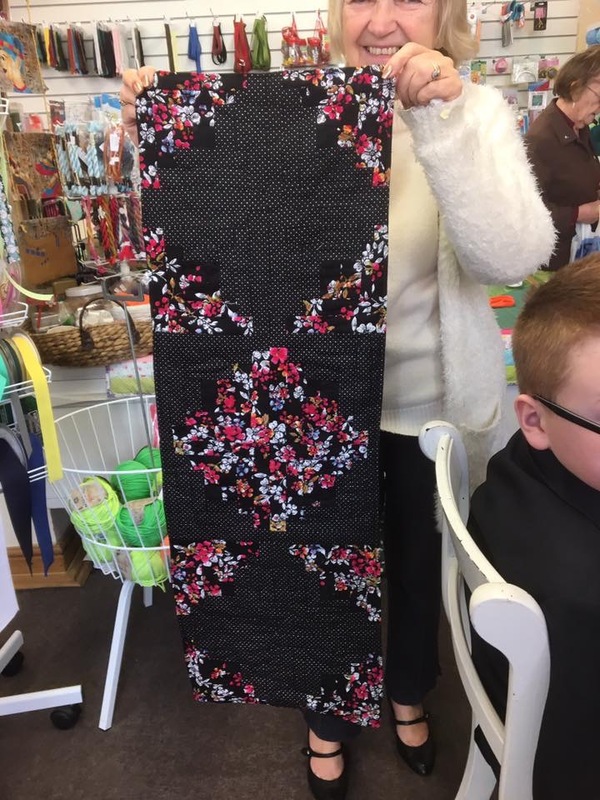 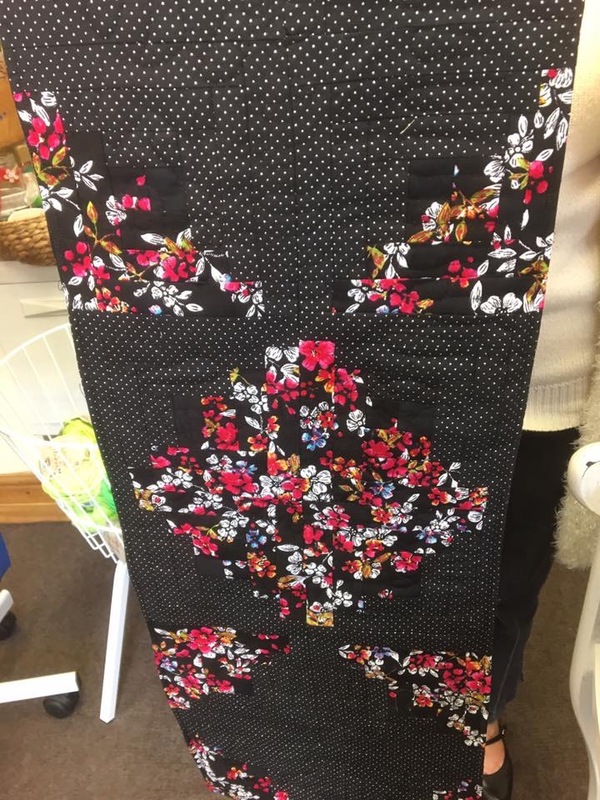 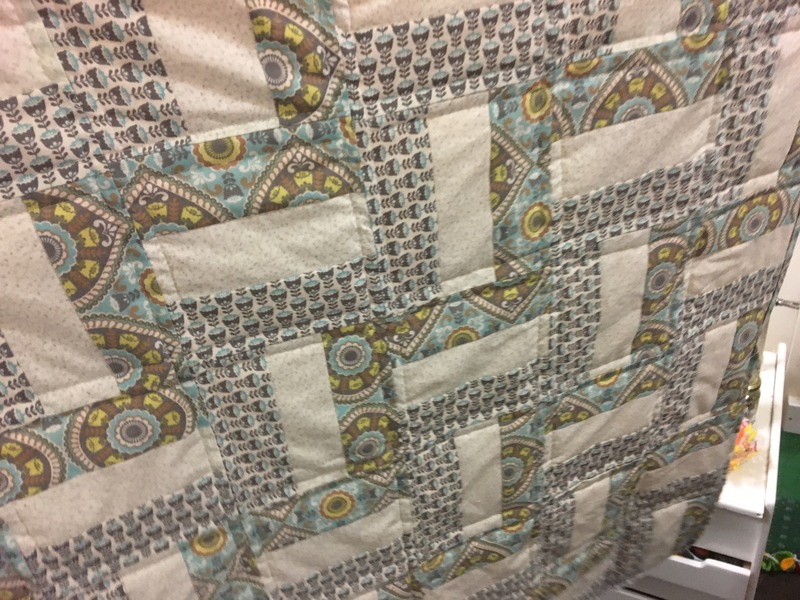 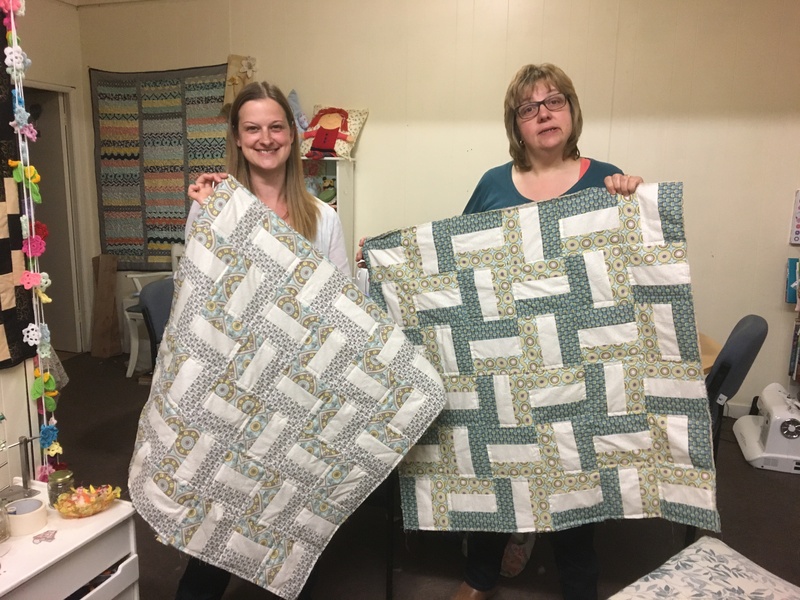 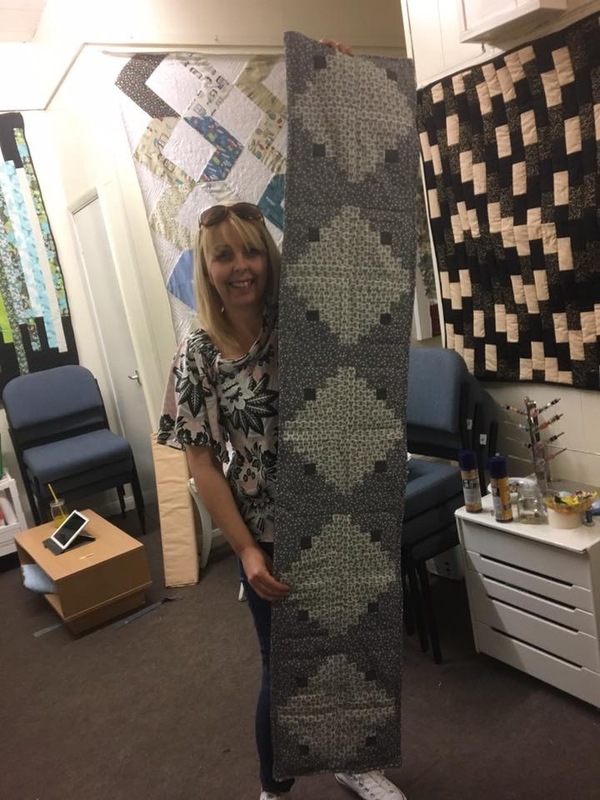 They have cut, pieced, quilted and binded their quilt and the results are amazing…..
There’s still a couple of spaces available on my May quilting course. 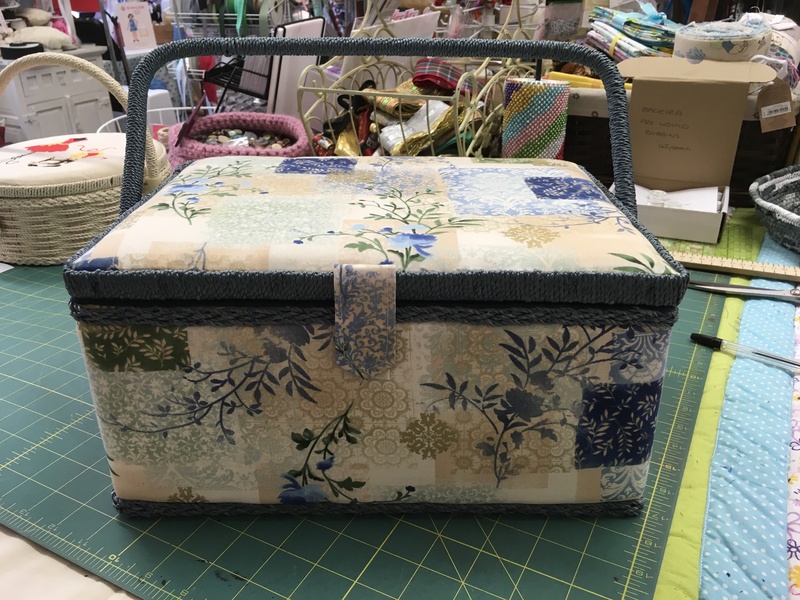 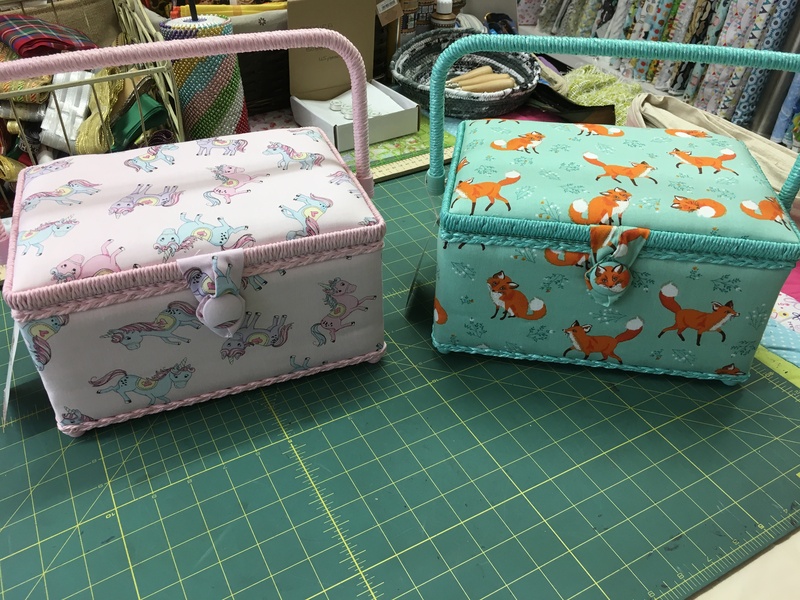 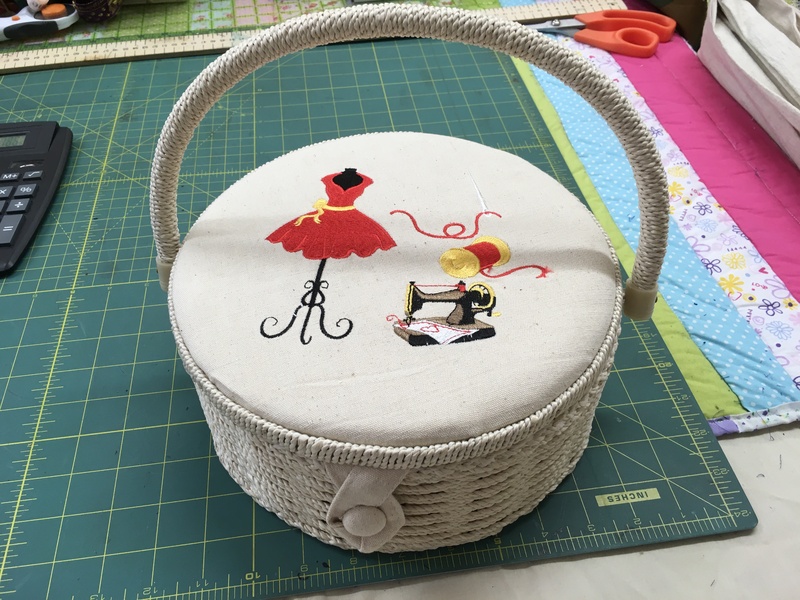 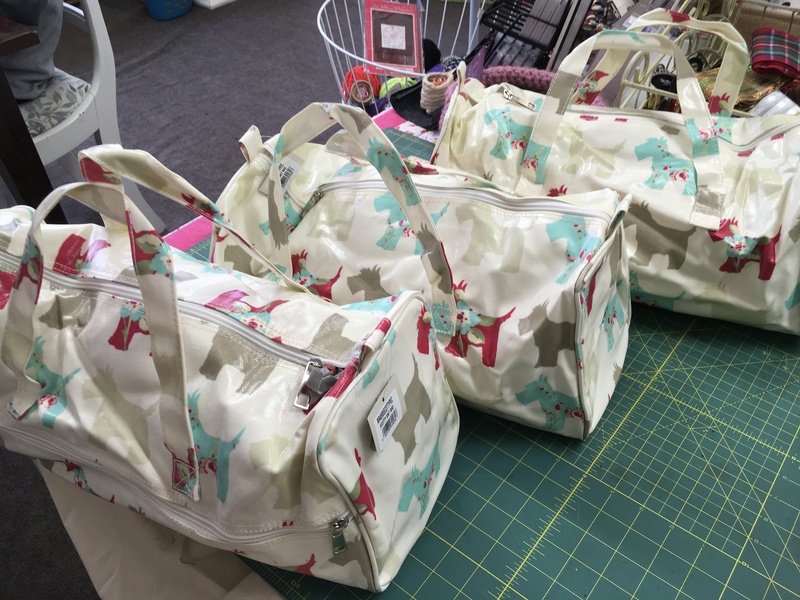 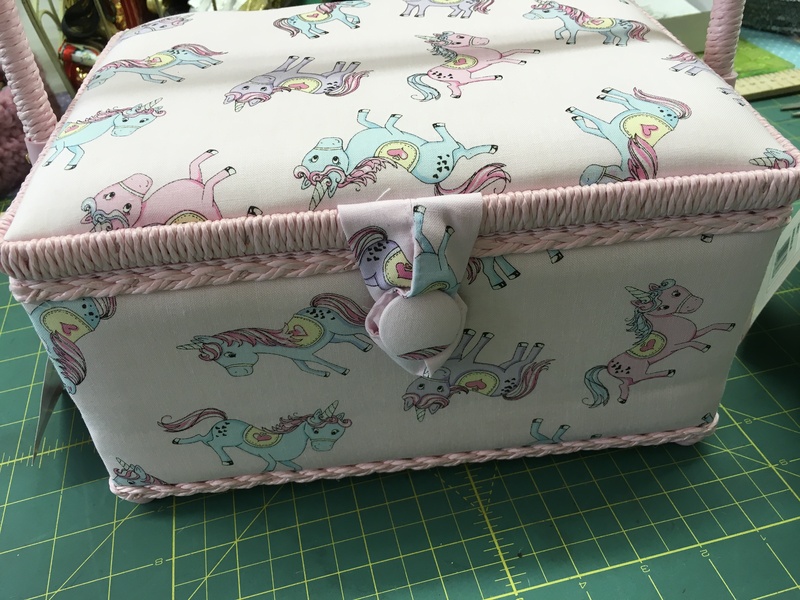 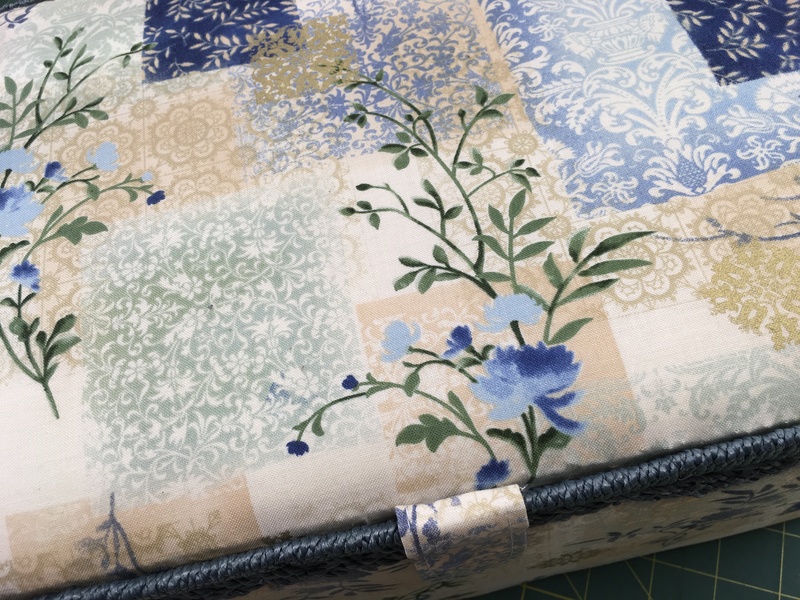 A whole new collection of sewing boxes, tote bags and knitting bags arrived and have been very popular…. 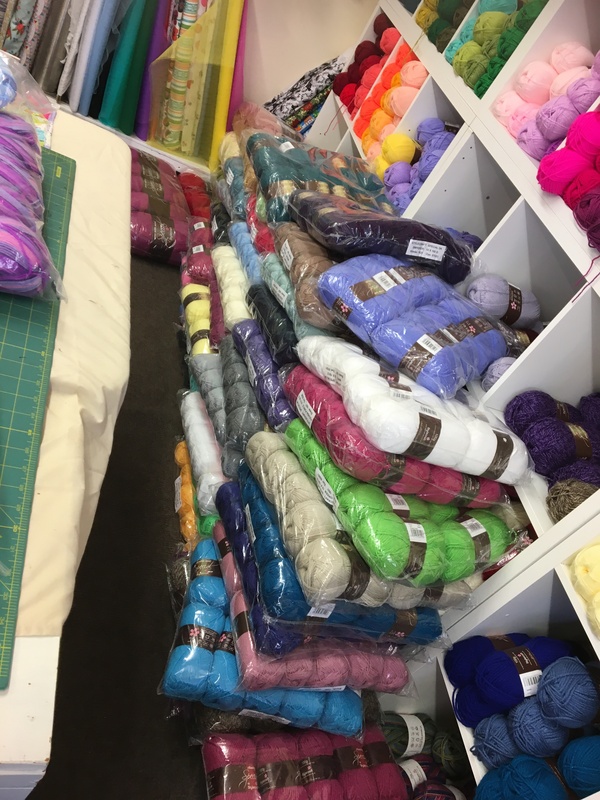 And an even bigger delivery from Stylecraft…. 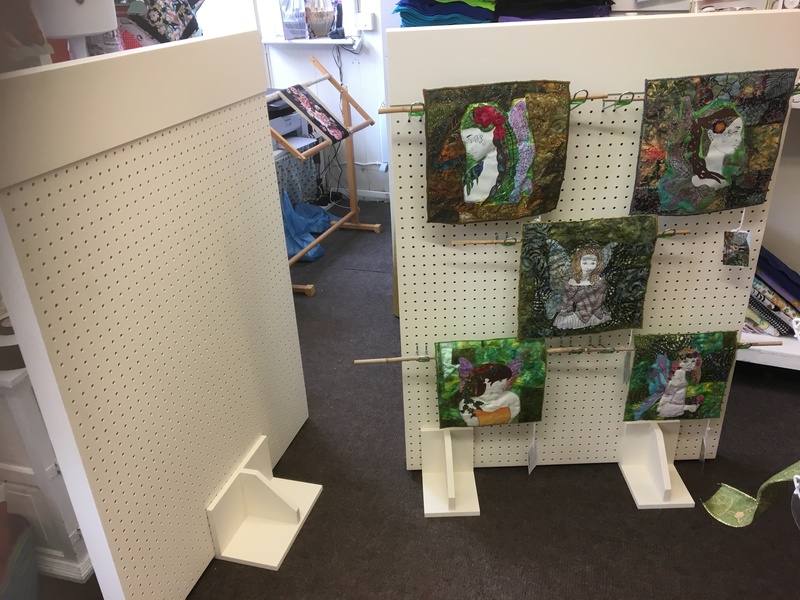 I’ve been busy prepping for exhibitions and getting a bit nervous. 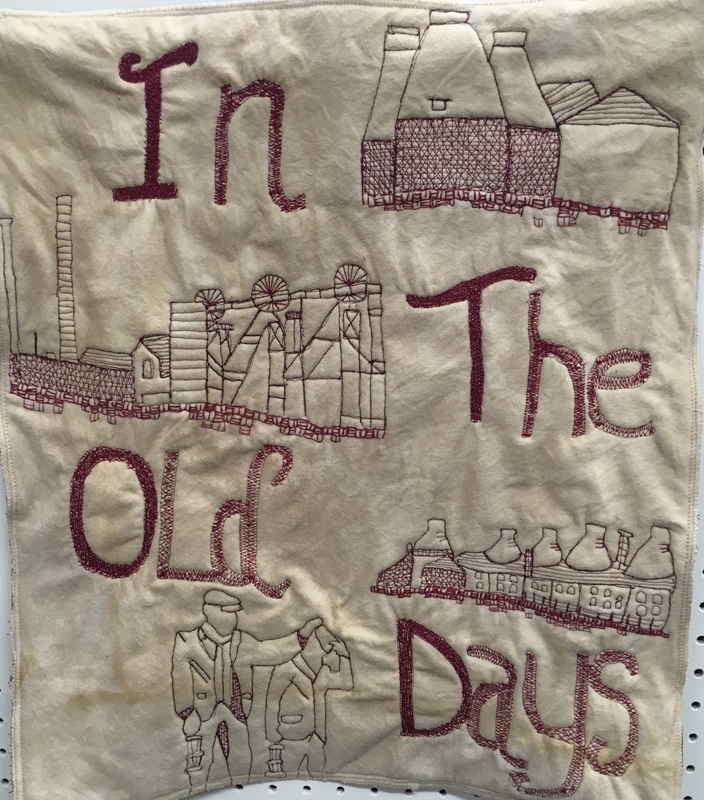 And I’ve been busy, designing and stitching a wall hanging of Swadlincote history which is finished and ready to hang. 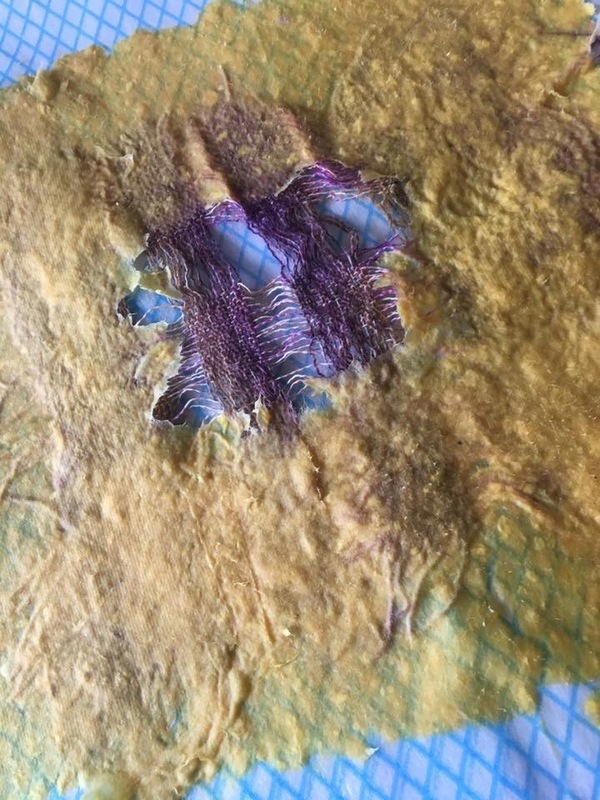 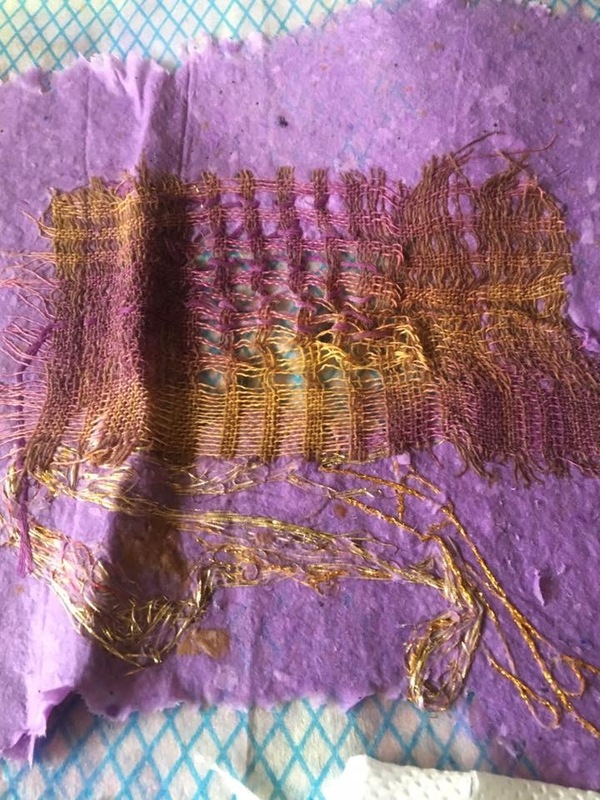 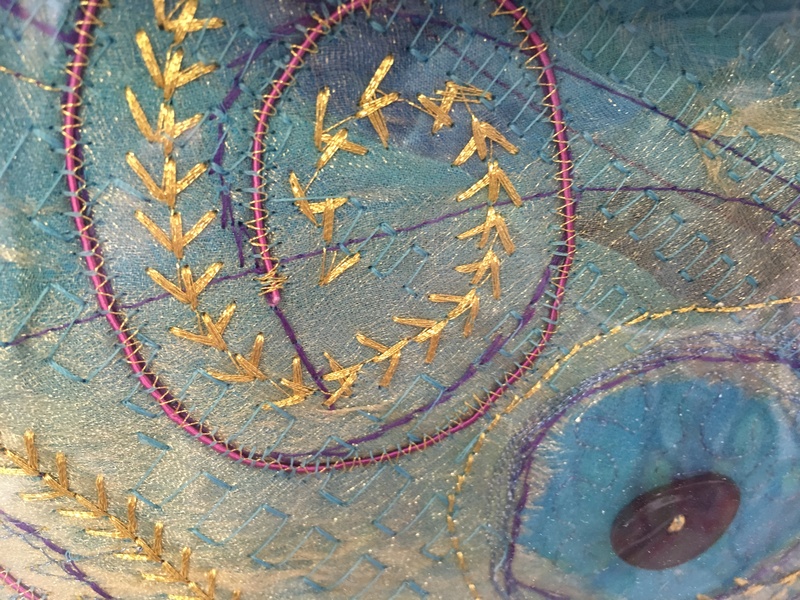 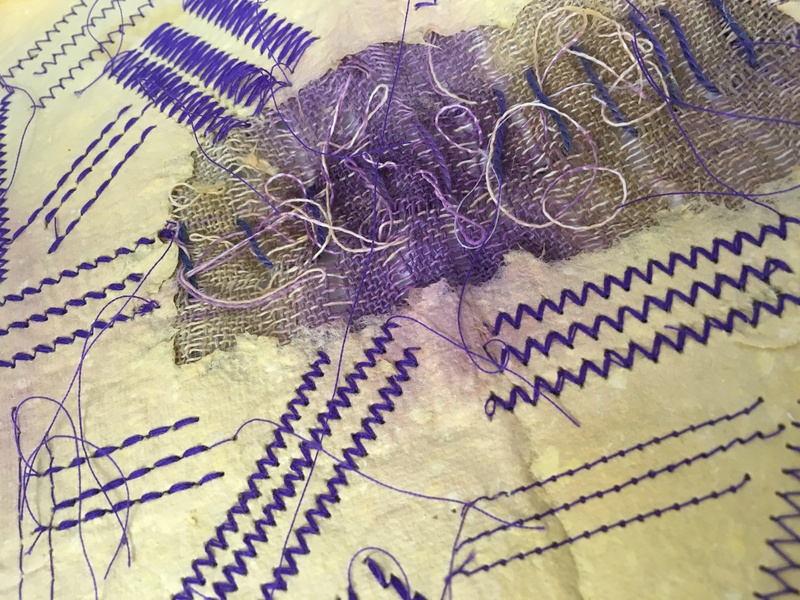 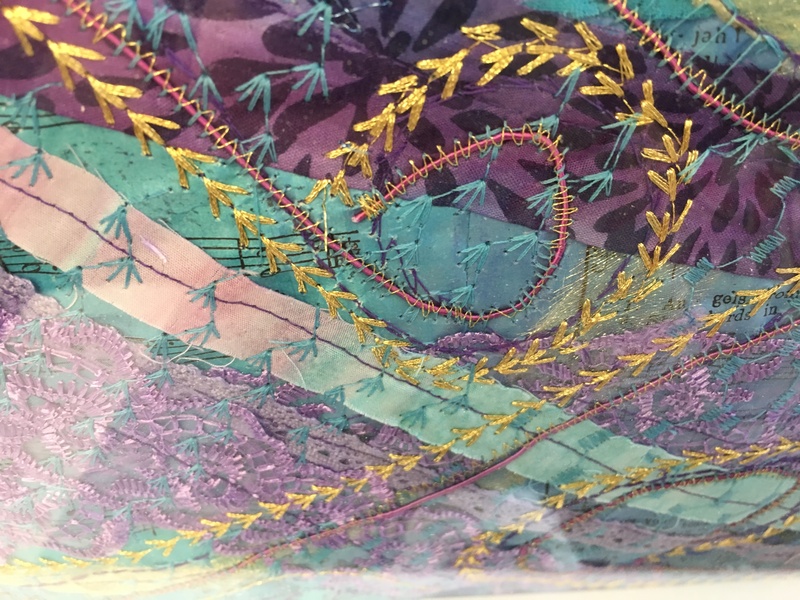 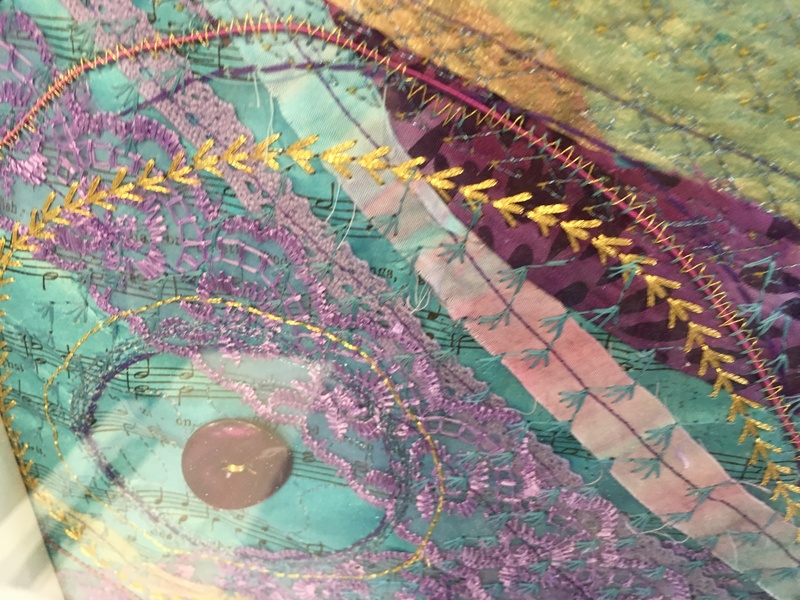 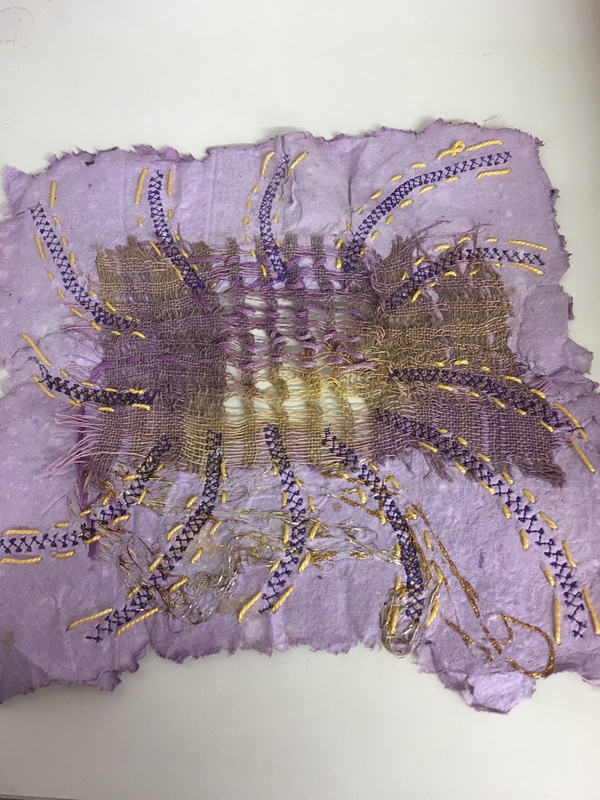 Dyed fabric, free motion sketching, hand stitching, thread painting and a ridiculous amount of threads….. 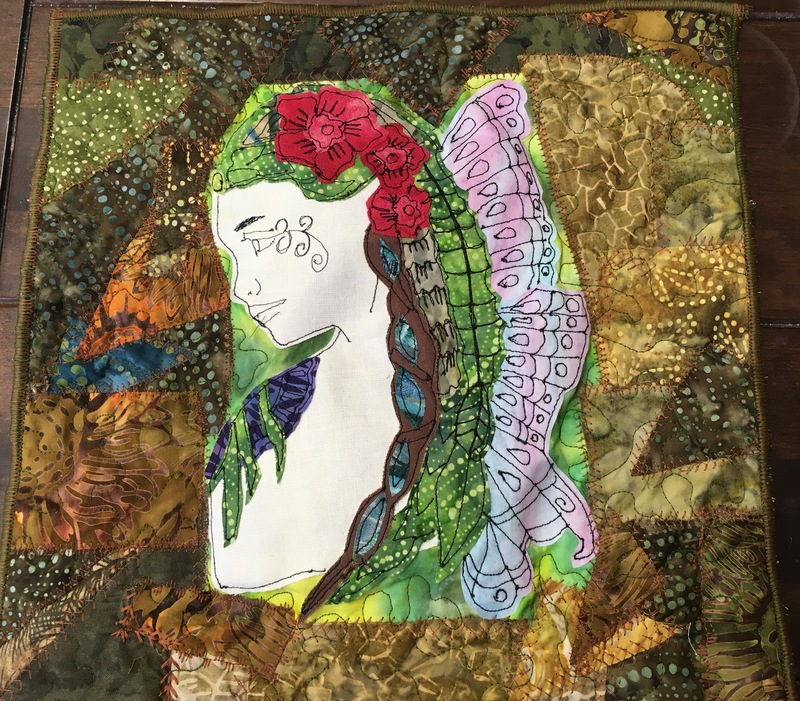 Thanks for taking the time to read and supporting me in my dreams. 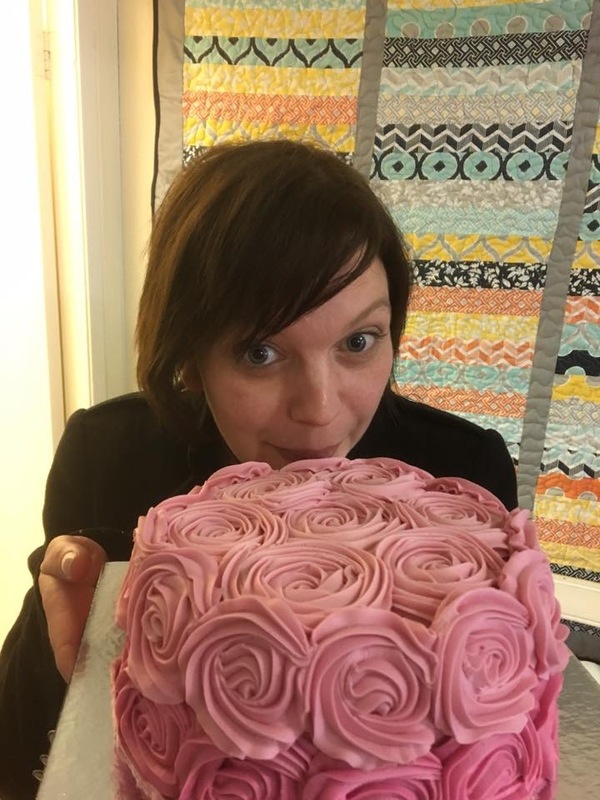 So let’s start off with my opening hours over Easter. 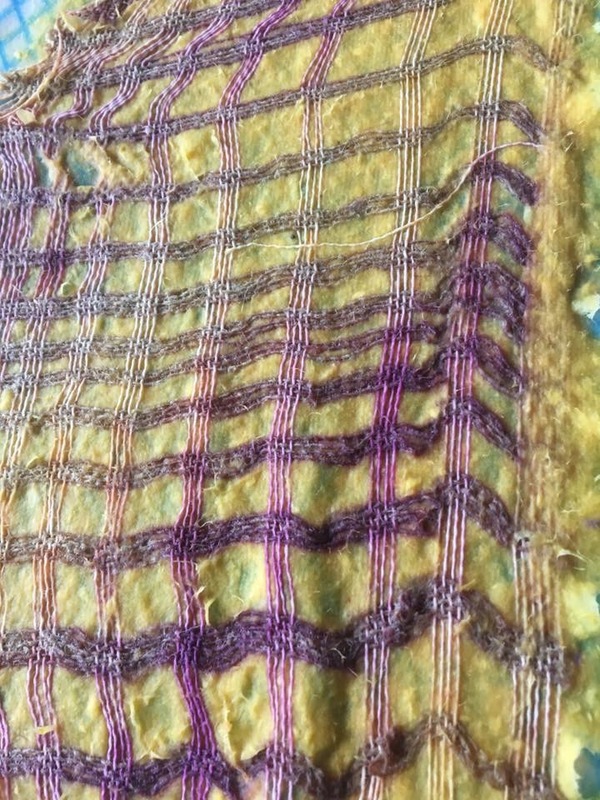 I’m closed today (Good Friday), open normal hours on Saturday. 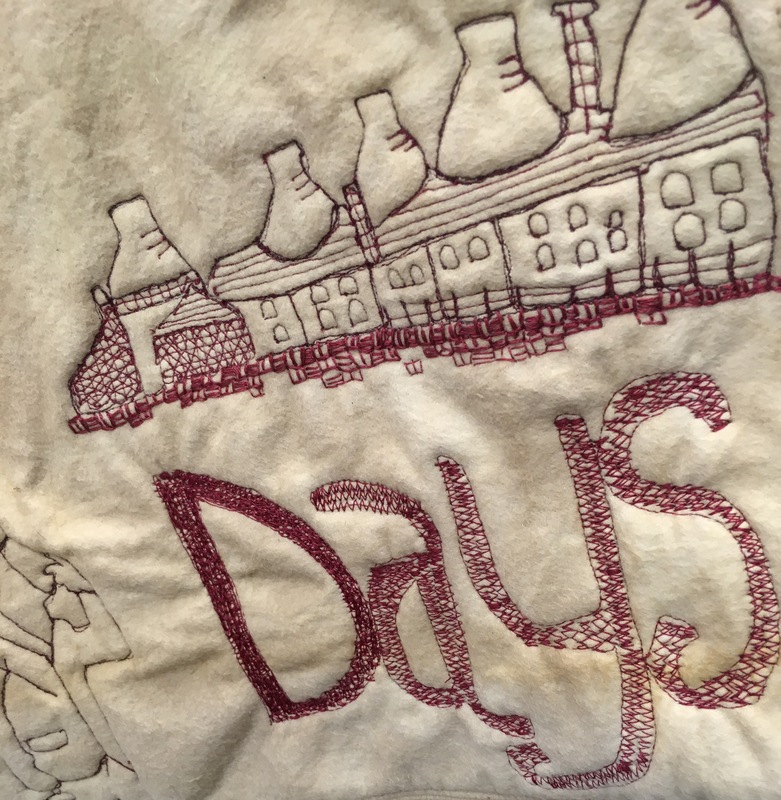 Closed Sunday and Monday and then normal hours resume on Tuesday. 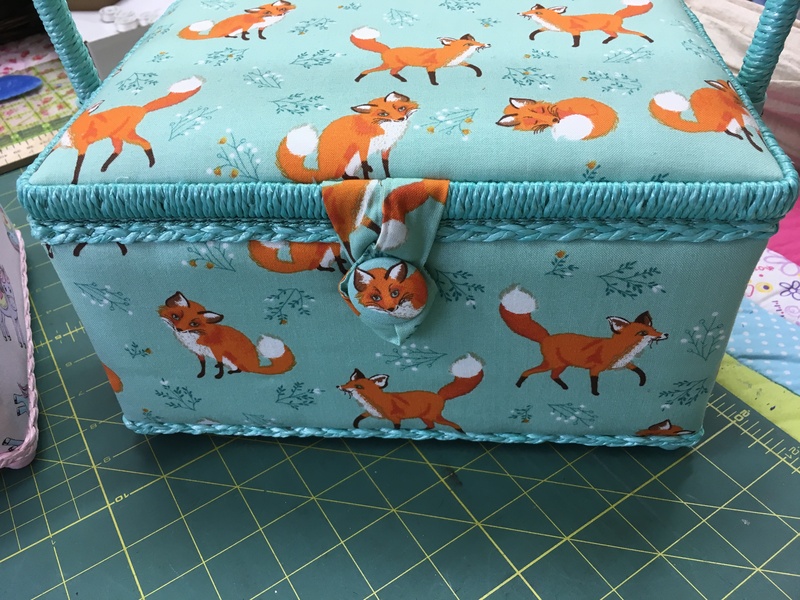 All the Sewing groups are mid way through projects at the moment so I haven’t got many pics to show you. 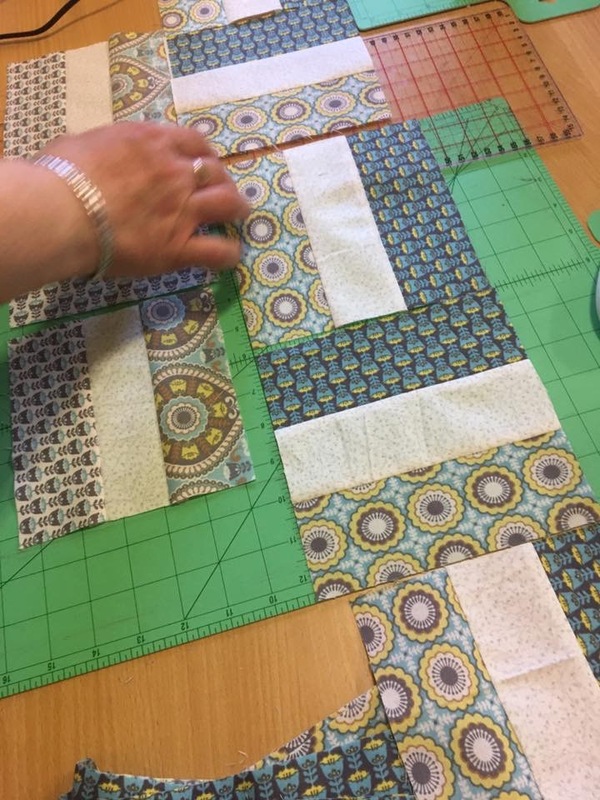 Saturday – Quilts are still progressing. 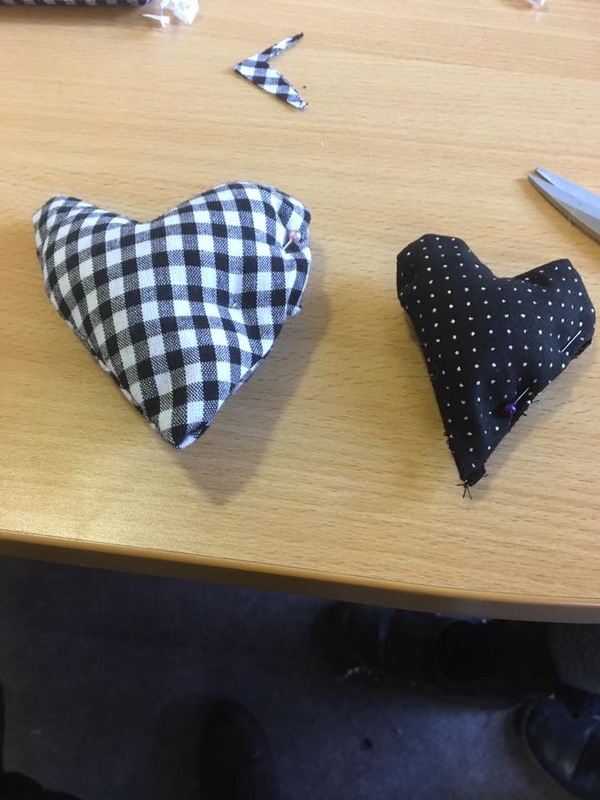 I have a couple of places on the Sewing Bee for children 8-12 yrs. 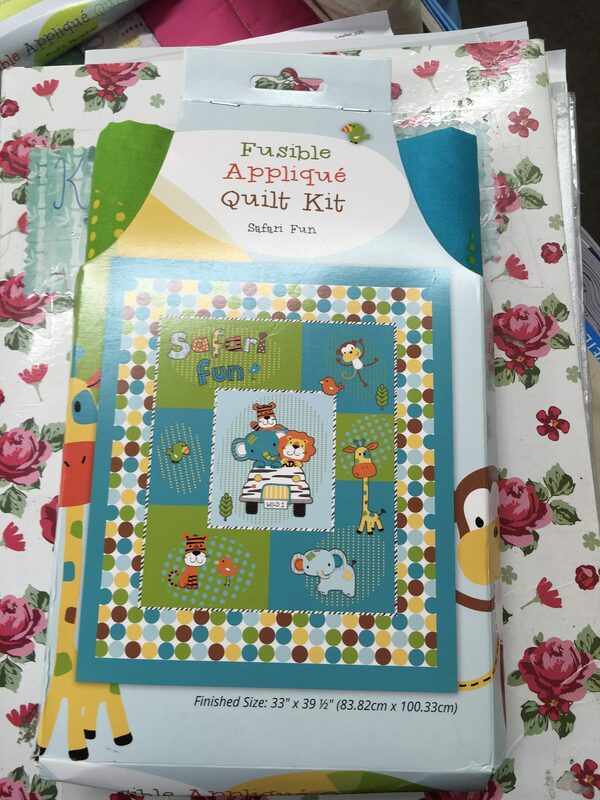 Please contact me for further details. 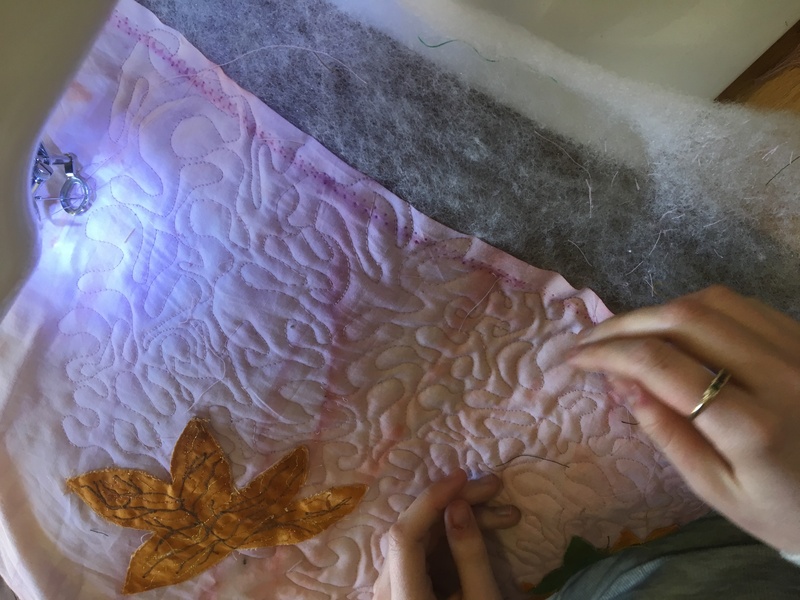 You can now view the details for the Young Quilters Workshop in May. 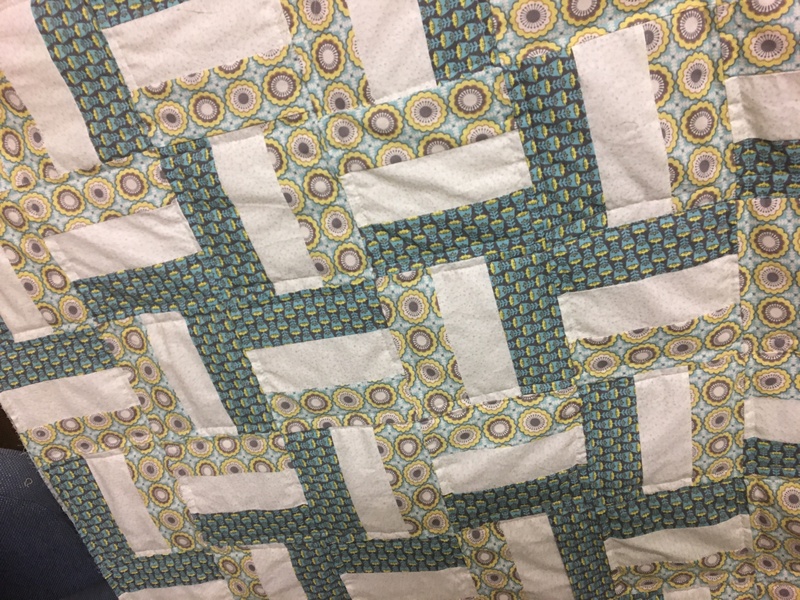 We’ve had lots of quilting going on in the Sewing Studio. 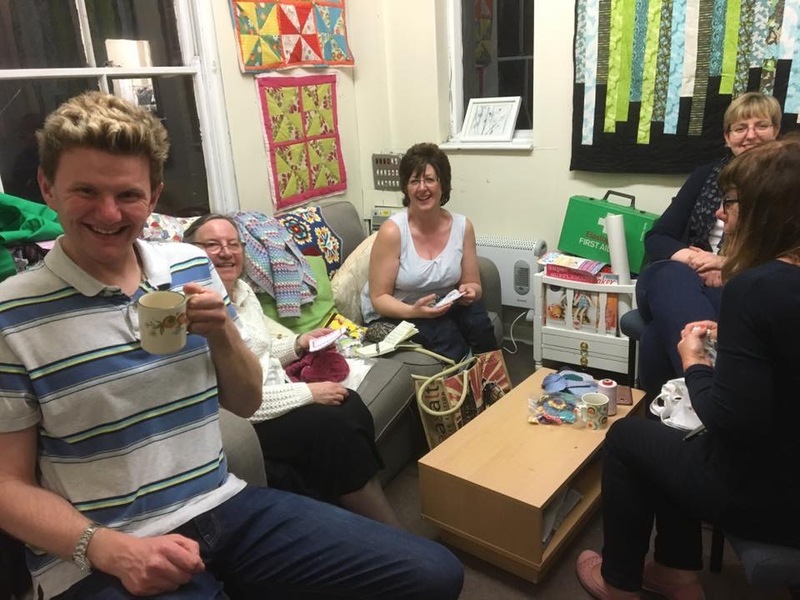 It was time for our Craft & Chat night. 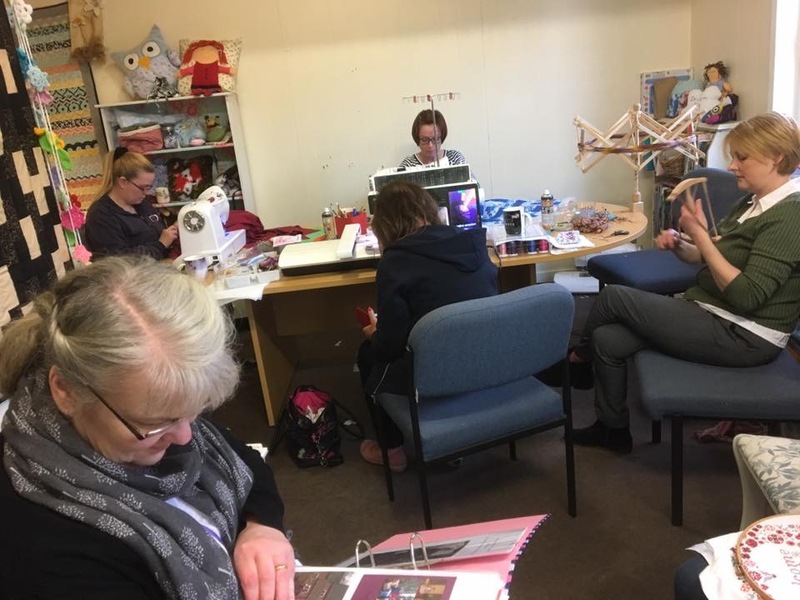 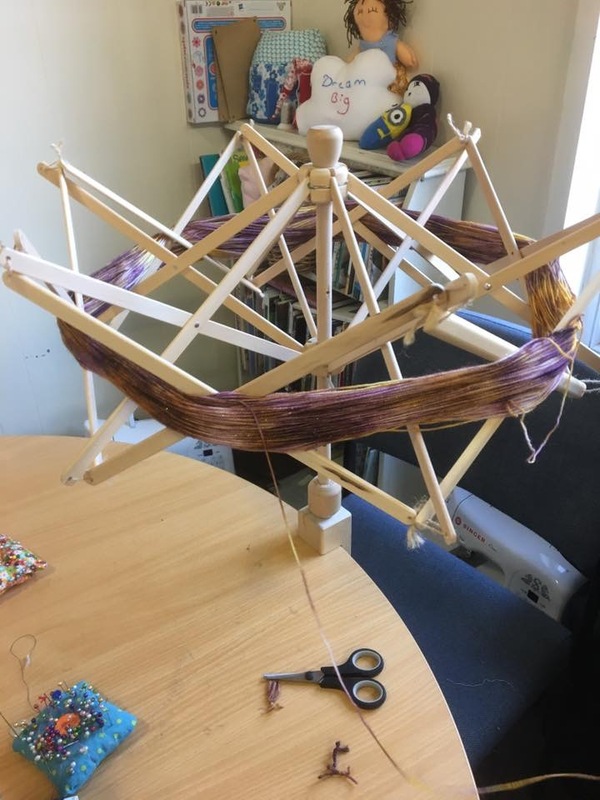 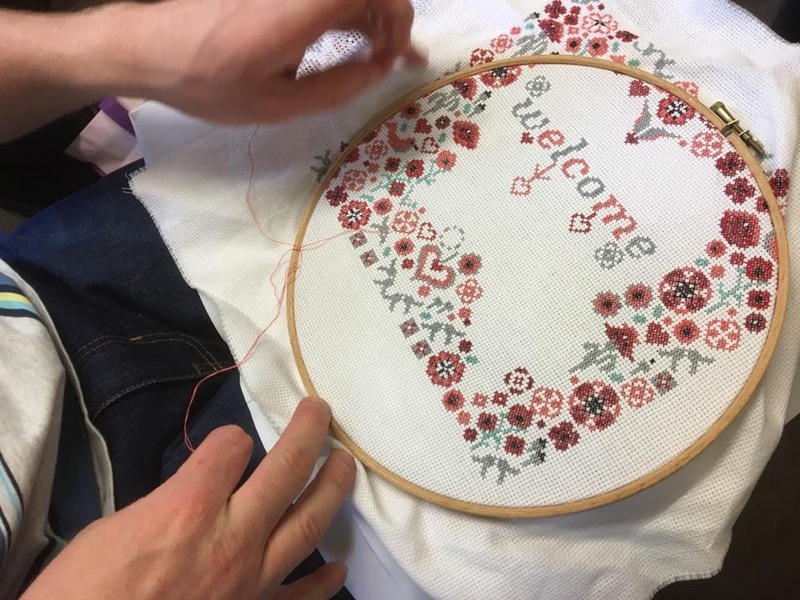 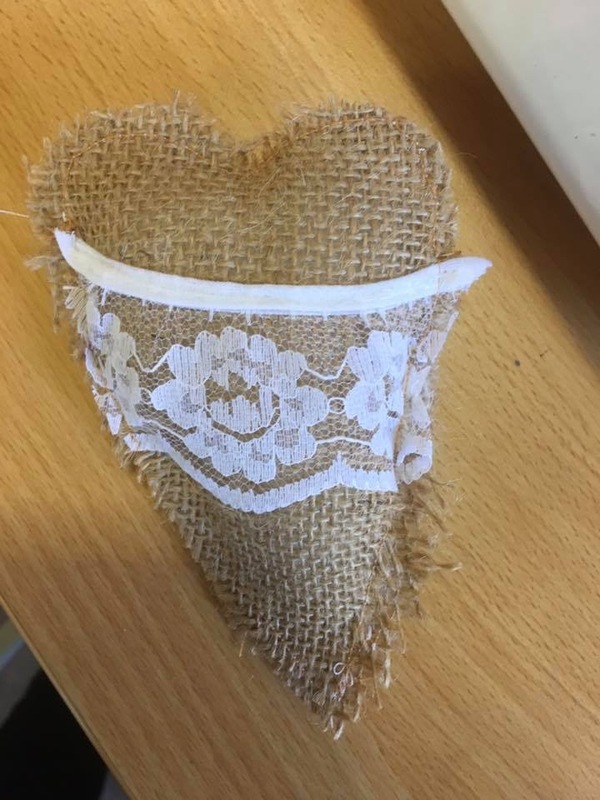 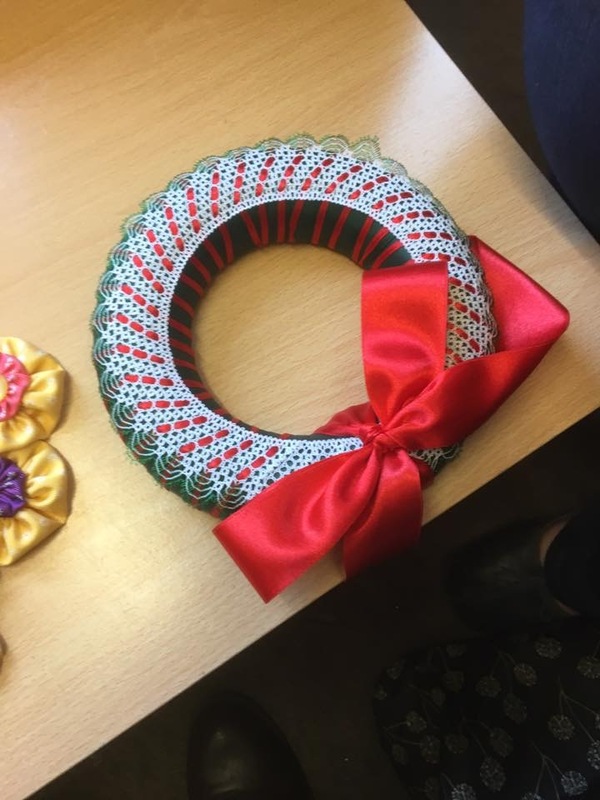 This monthly meet up takes place on the first Thursday of every month – 6pm – 8.30pm and cost £5 towards refreshments……..a lovely group of people and a great atmosphere, take a look…..
I’ve been extremely busy, working away on coursework the last couple of weeks…… handmade paper and stitchery……. 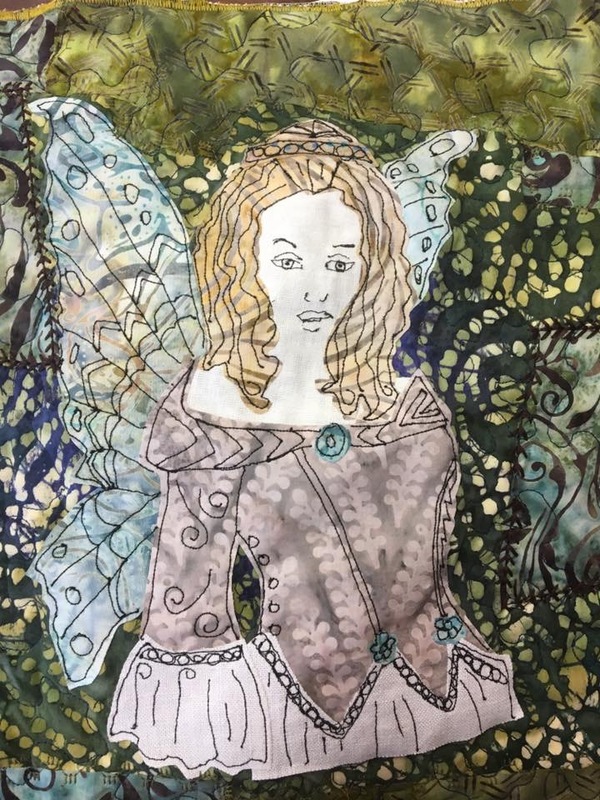 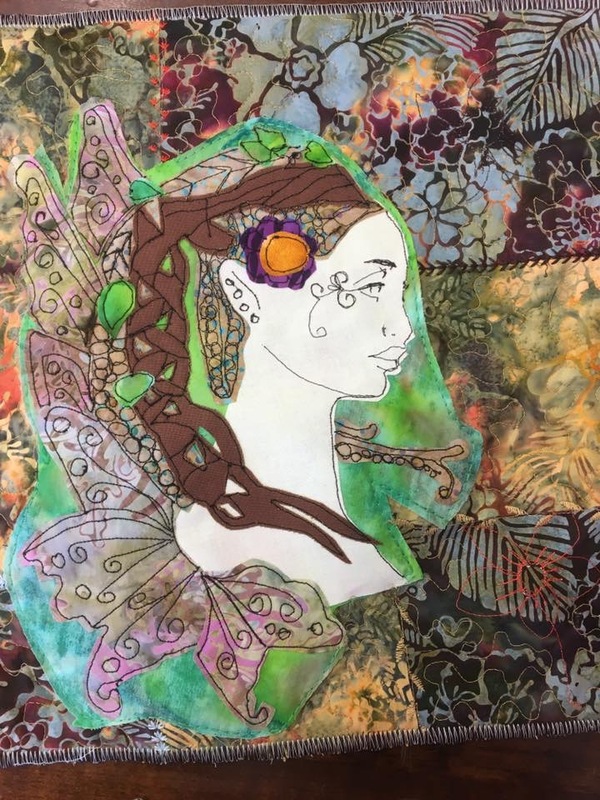 I’ve also finished off my collection of Fairies (still need naming though)…..
And I’ve tried something a little different for me……. 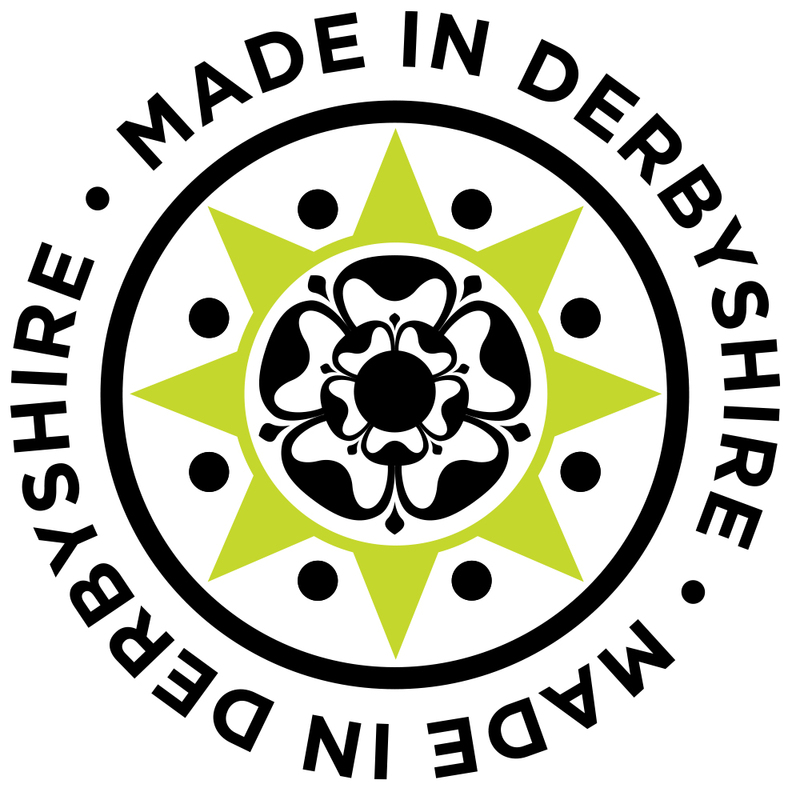 I hope you have a fantastic Easter break…..hopefully the weather will improve.